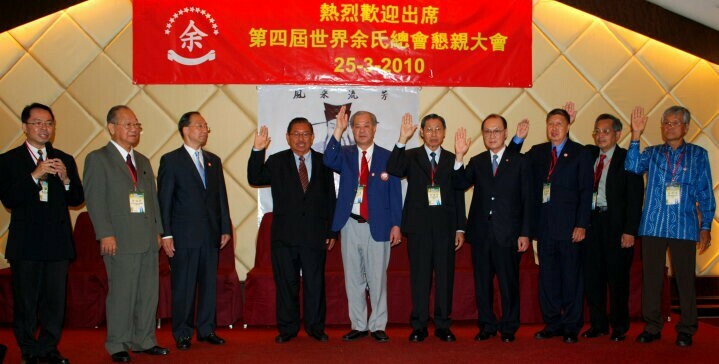 The Swearing In of Paul M. Yee Jr. 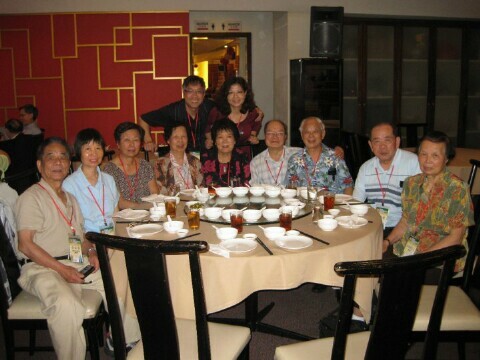 Welcome to the 23rd issue of the Yee Fung Toy Global Village Voice, an electronic newsletter for the World Yee community. 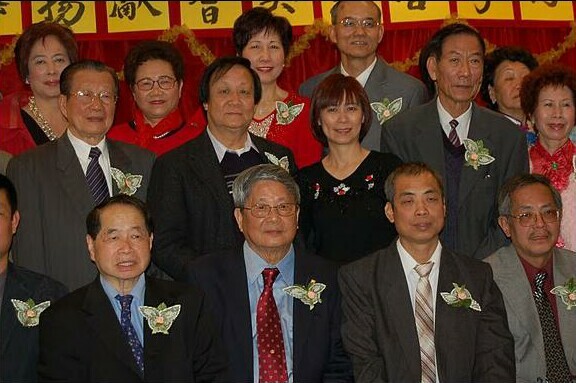 In this issue we are featuring celebrations of the annual Spring Banquets, Ching Ming Festival and Parents Day celebrations from associations around the world. 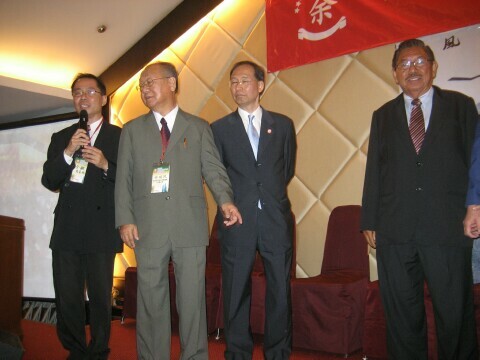 The World Yee Family Association 4th International Convention was held successfully in Kuala Lumpur, Malaysia from Wednesday, March 24th to Thursday, March 25th, 2010. 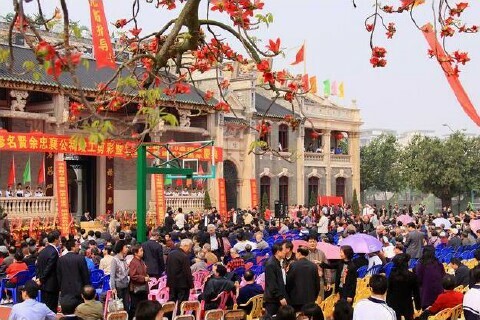 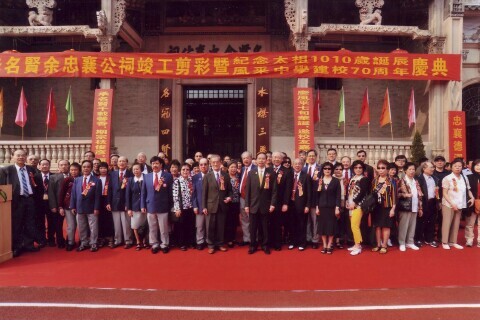 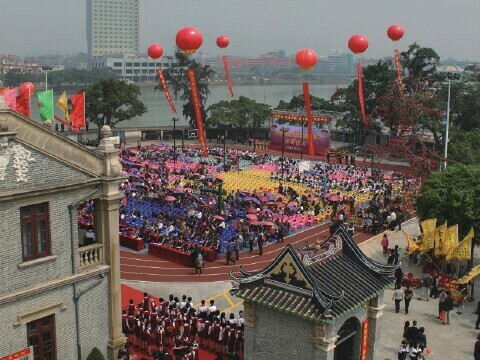 Immediately after the World Yee Convention, the Yee Chung-sheung Ancestor Hall Rehabilitation Ceremony Activity Program held in in Kaiping, China from Sunday, March 28th through Monday, March 29th was also very successful. 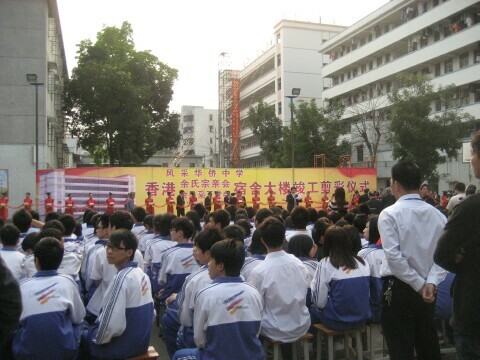 A large crowd was there to witness this historical event. 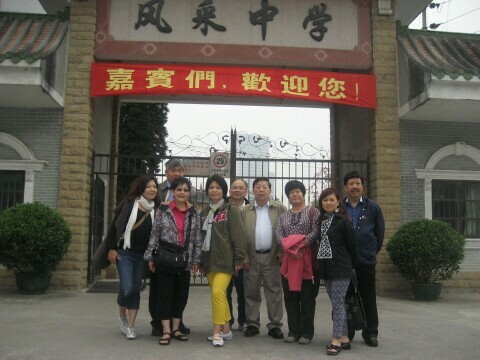 The trip to Kaiping opened up unexpected opportunities. 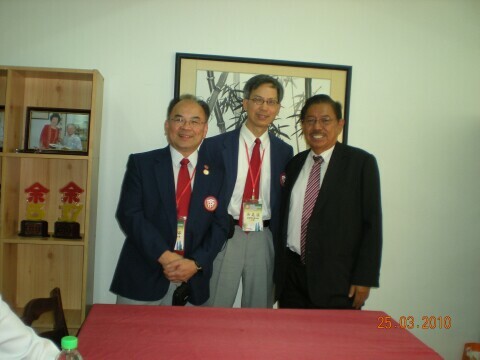 One was to make contact with staff of the Fung Toy Monthly and discuss alternatives to submitting articles and photos using slow mail. 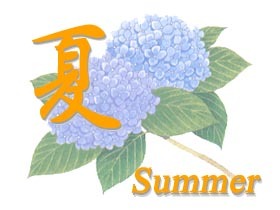 We are now able to send articles to the Monthly via email. 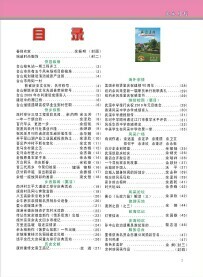 We can also email your articles written in Chinese and photos to the Monthly so they could appear in both our Newsletter and the Fung Toy Monthly (if the editors so decide). 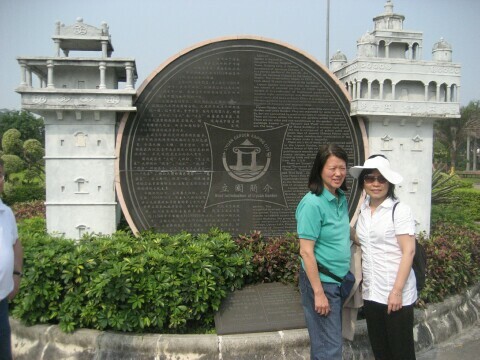 Another opportunity was to tour the diaolou in the Kaiping area. 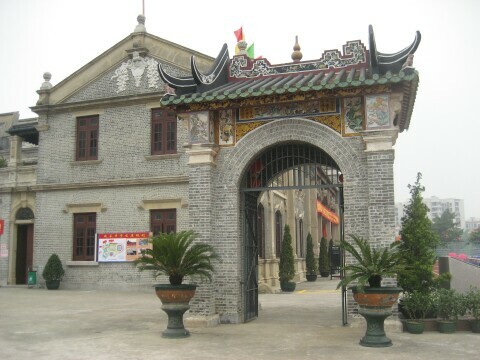 This opened our eyes to a UN world heritage site in the midst of our ancestral villages. 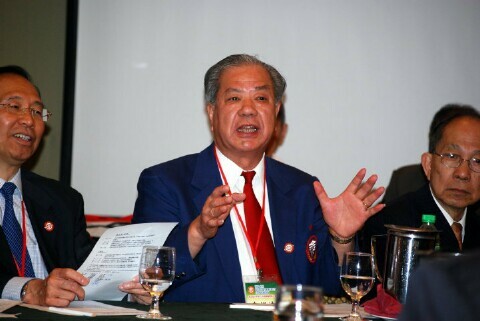 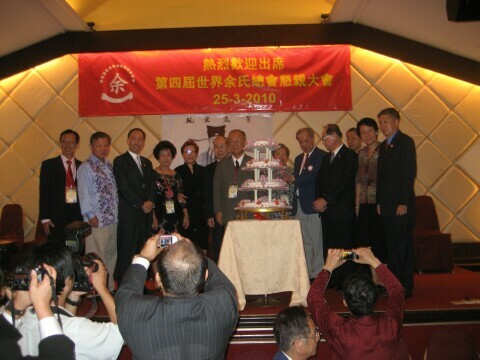 Congratulations to Mr. Kan Yu, Chairman of the Yee Fung Toy Society of Canada, for being elected Chairman of the World Yee Family Association, and to Canada for winning the bid to host the World Yee Convention in 2012! 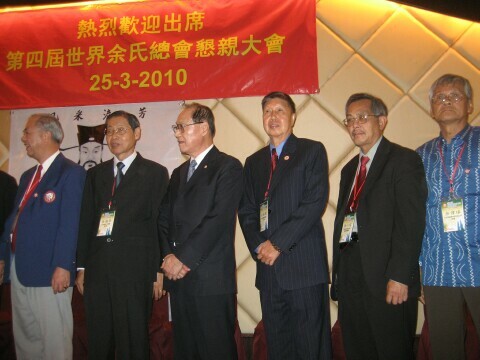 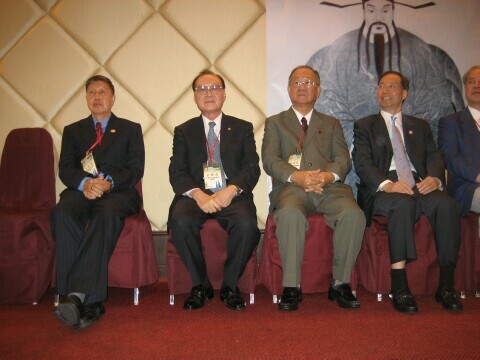 The 4th World Yee Family Association Convention was held successfully at the Cititel Hotel, Mid Valley in Kuala Lumpur, Malaysia from Wednesday, March 24, to Thursday, March 25, 2010. 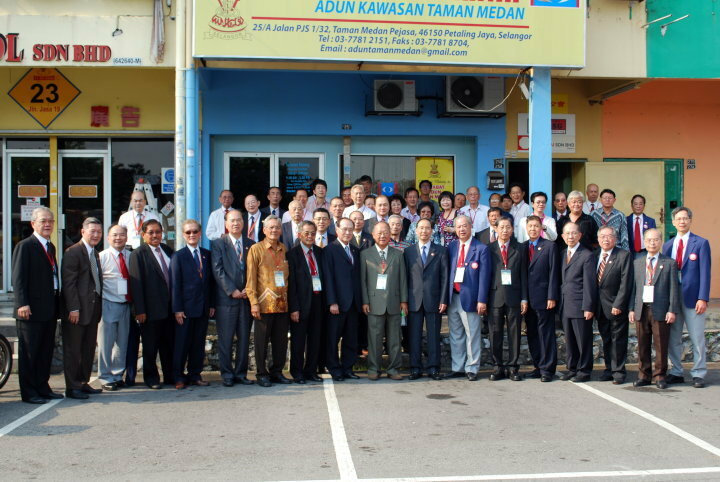 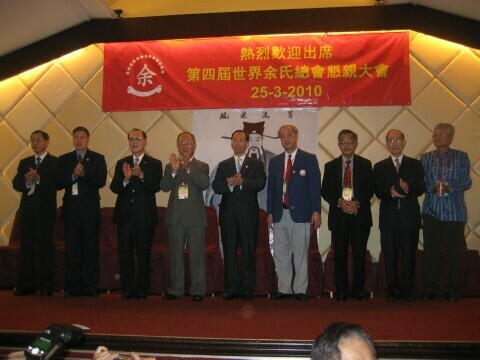 This convention was organized by The World Yee Family Association, co-organized by The Yee Association Malaysia and The Federation of Selangor & Kuala Lumpur Yee Association. 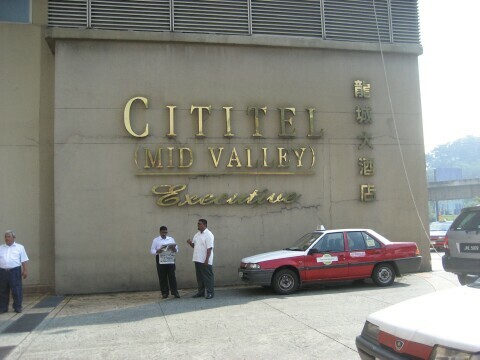 March 24 marks the date for the arrival of guests from all over the world at the Cititel Hotel, Mid Valley, Kuala Lumpur - Registration Area. 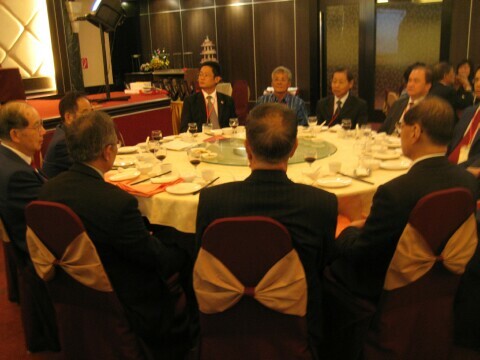 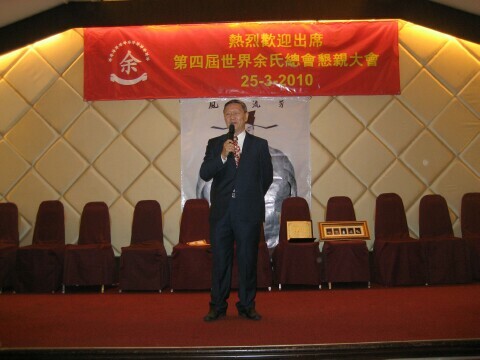 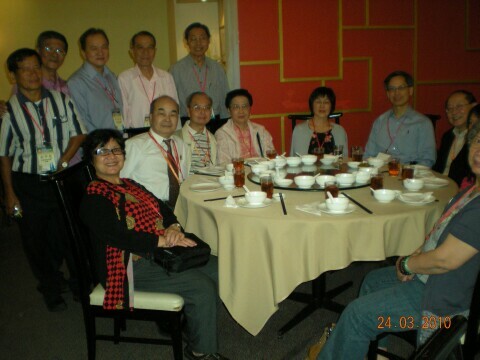 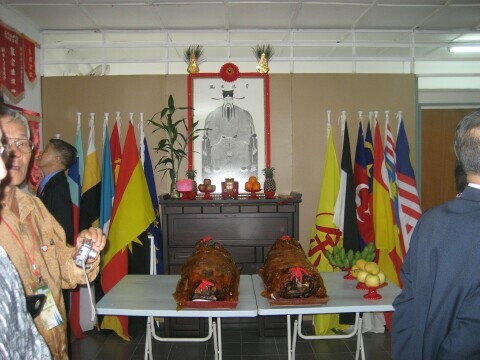 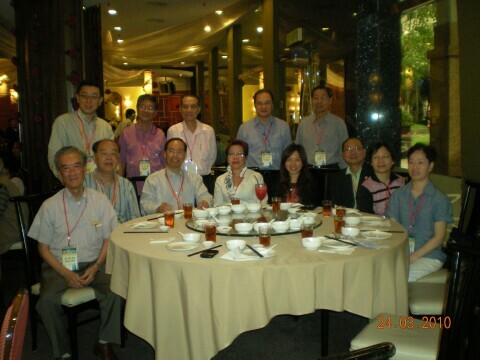 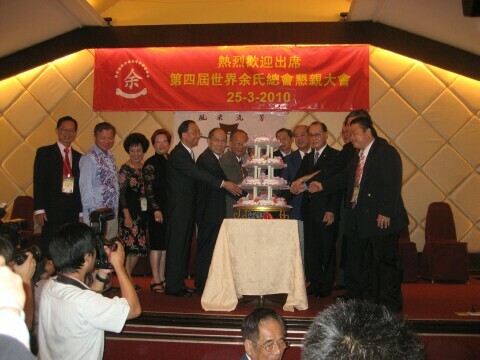 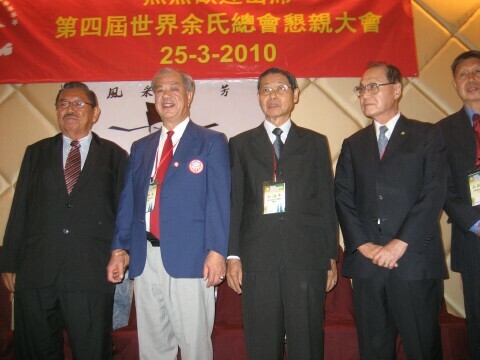 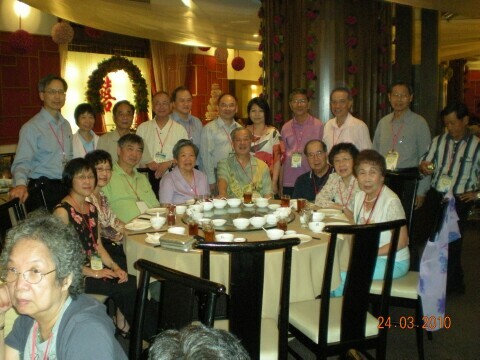 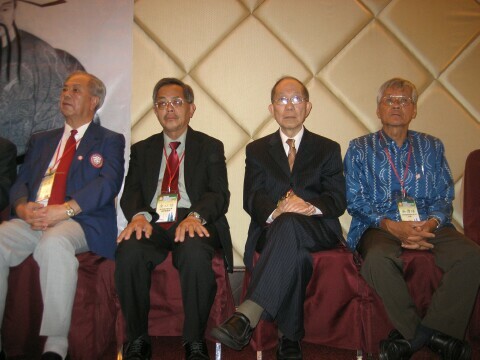 On the morning of March 25th, Ancestor Ceremony was held at the The Federation of Selangor & Kuala Lumpur Yee Association Headquarters, followed by The World Yee Family Association 4th (2010) Convention Opening Ceremony - at the Cititel Hotel Mata Hari Ballroom on Level 5. 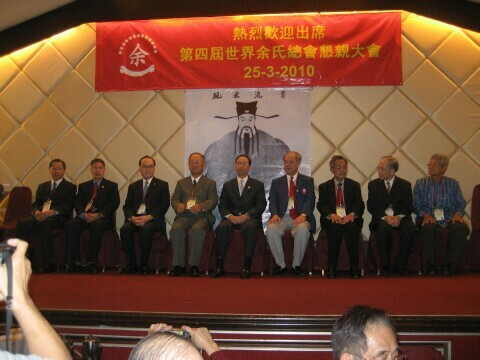 On March 25th, at The World Yee Family Association's 4th AGM, the election of the 5th World Yee Office Bearers and the selection of the next Host City was held. 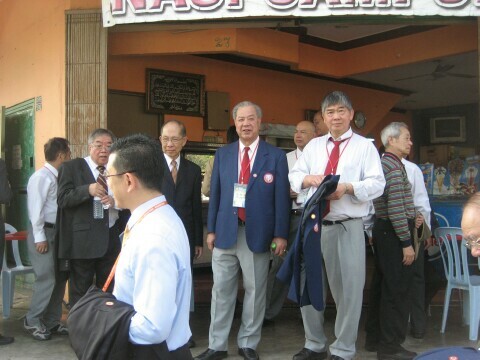 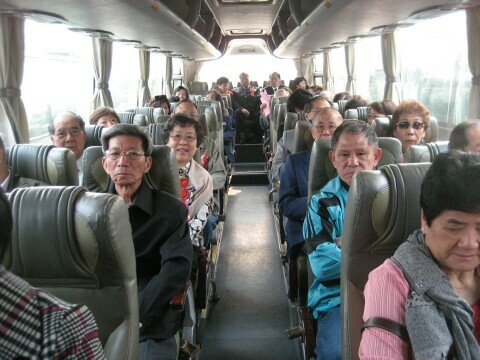 A day trip for convention guests and non-delegates was arranged by the Convention Organizing Committee. 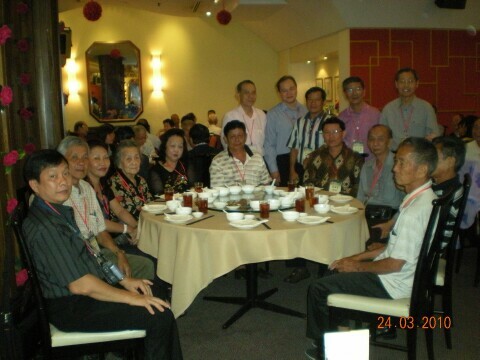 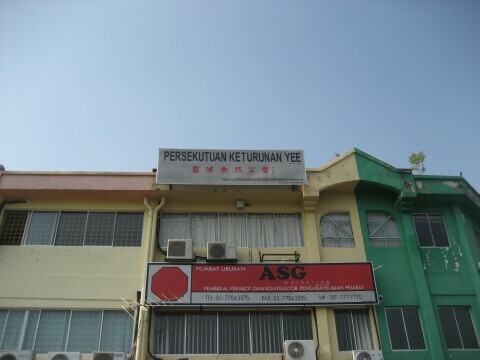 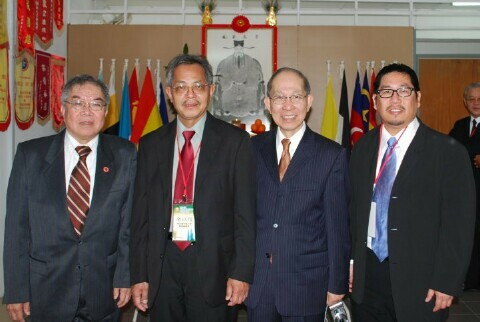 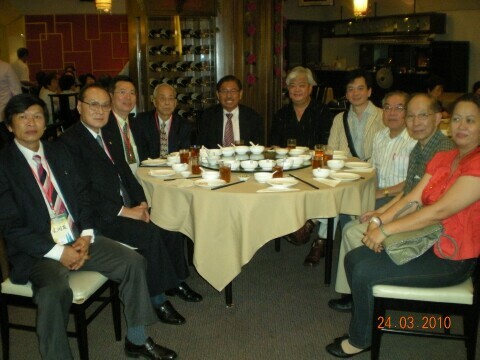 (1) Singapore Yee Clan Association and 余徐涂佘公所 from Indonesia became new members of the World Yee Family Association. 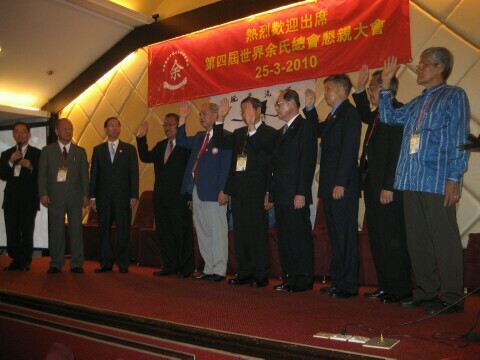 (2) Amend Article 3 Section 9, Vice-Chair from 6 members to eight members. 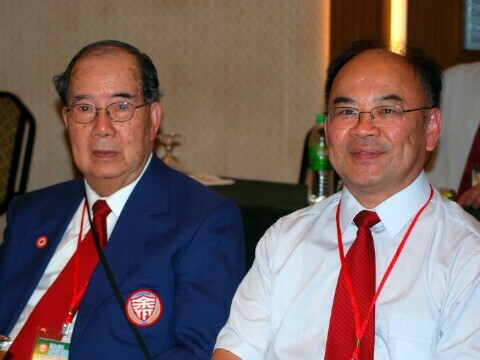 (3) The World Yee Executive committee unanimously chose Mr. Kan Yu from Canada for its Fifth World Yee Family Association Chairman, Vice-chairmen as follow: Mr. Johnson Yee (Hong Kong), Alan Yee (US), Mr. Suisee Er (Malaysia), Mr. Antonio A. Yee (Philippines), Mr. Seng Ching Yu (Thailand), Mr. 余海年 (Singapore) and Mr. 余偉球 (Indonesia). 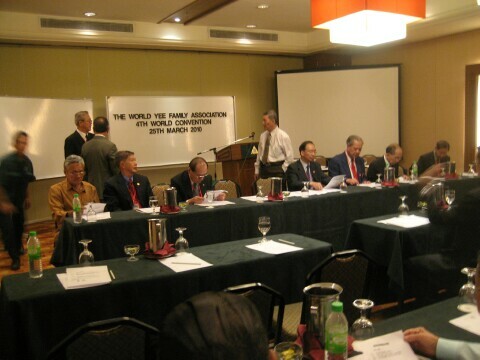 (4) The next World Yee Convention will take place in Vancouver, British Columbia, Canada in 2012. 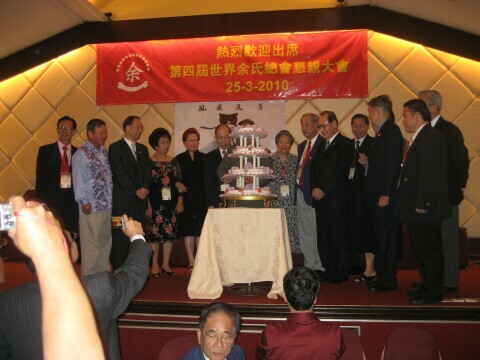 At the 4th World Yee Convention, the renewed kinship, the meeting of new friends, the heartwarming dinner banquets and entertainment provided by our host will always remind us of the unforgettable events that have touched our hearts. 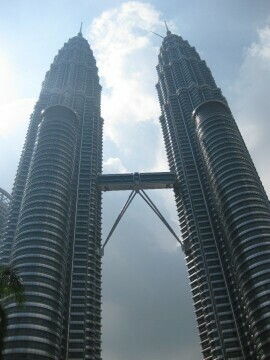 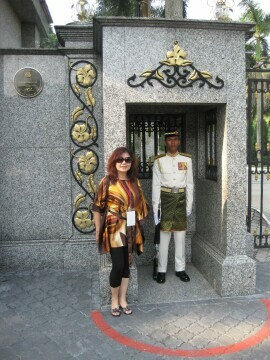 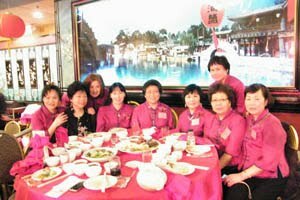 Without question, within this two day setting, in a beautiful Malaysian city, under sunny skies, the atmosphere was in our favor for a wonderful time! 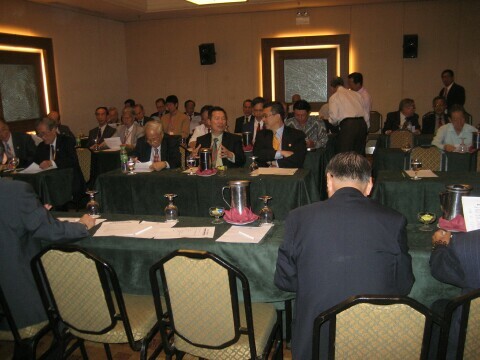 Hope to see you all again in 2012 in Vancouver, British Columbia! 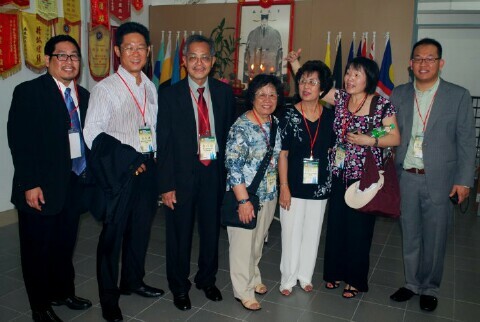 Our special thanks to Kenny Yee of Southern California, Pauline Tom of Vancouver and Secretary General of the World Yee Convention Committee, Mr. Kai Yon Yee, for providing us with some of their memorable photos. 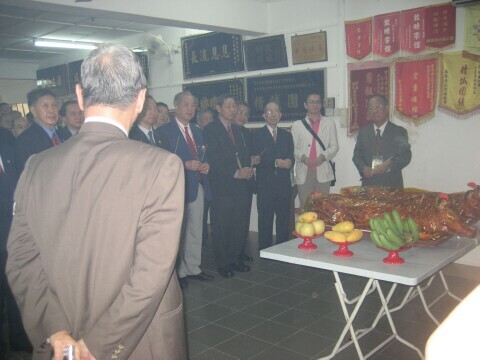 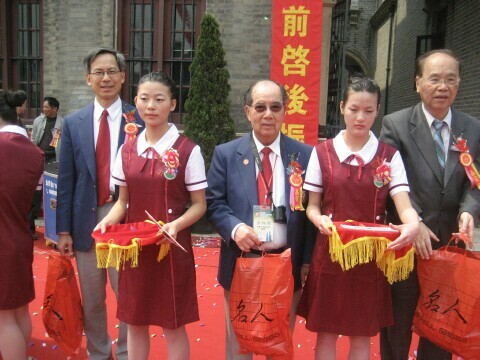 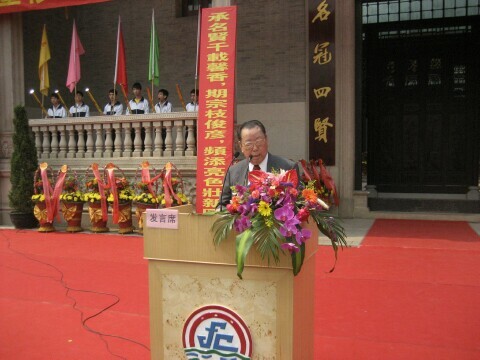 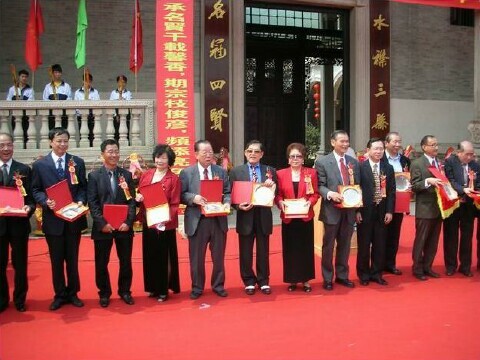 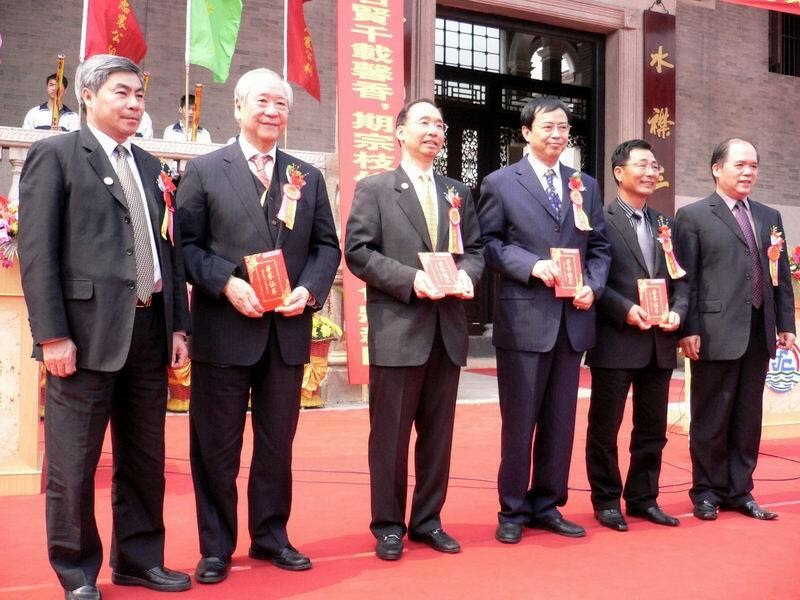 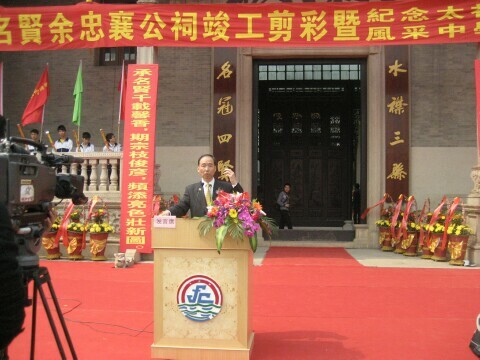 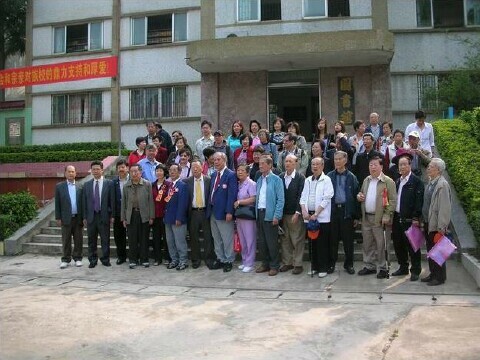 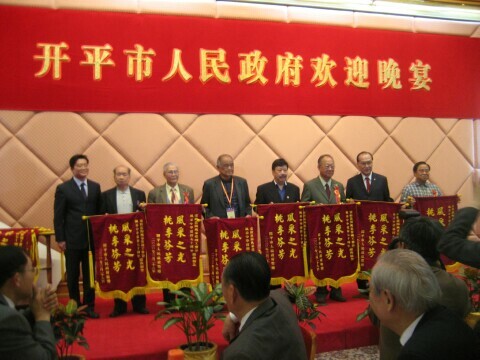 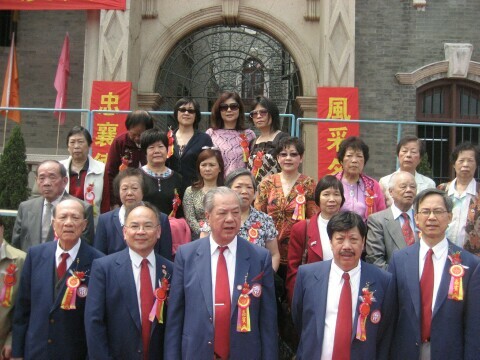 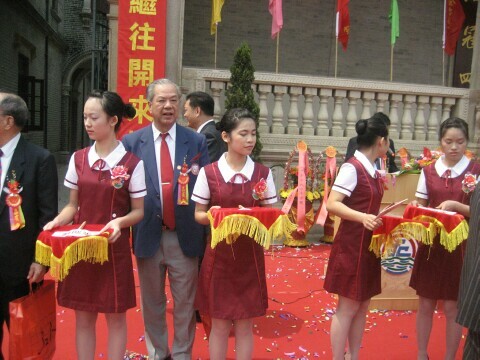 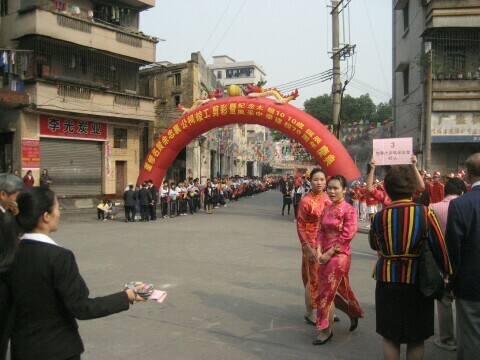 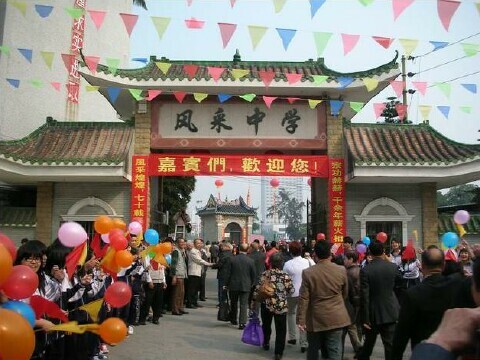 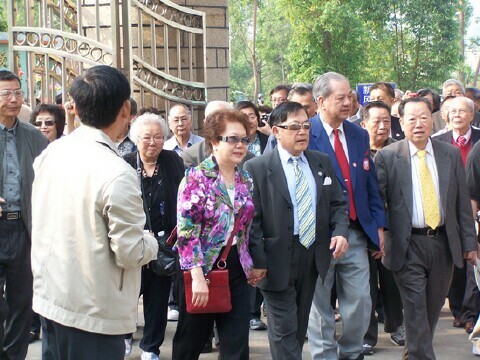 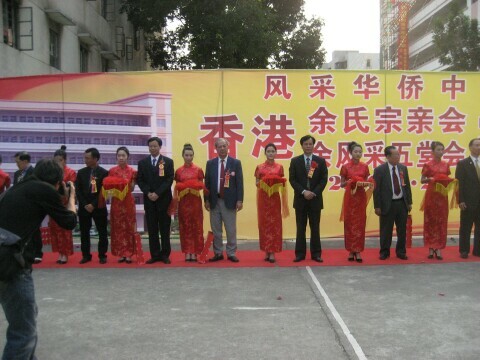 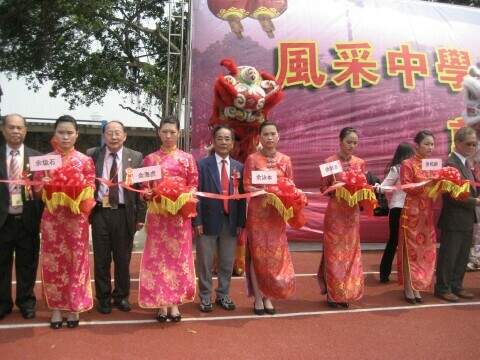 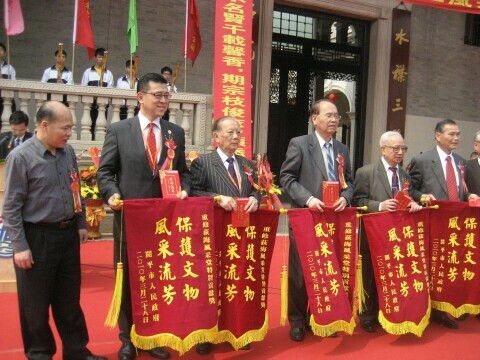 Yee Chung-sheung Ancestor Hall Rehabilitation Opening Ceremony was held successfully in Kaiping on March 28, 2010. 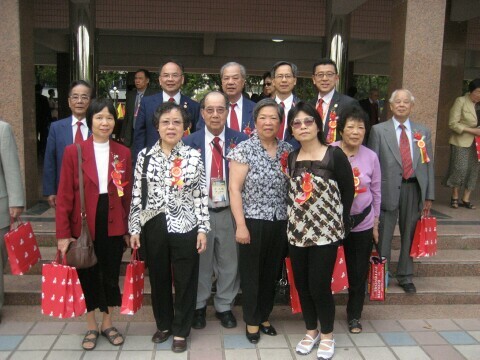 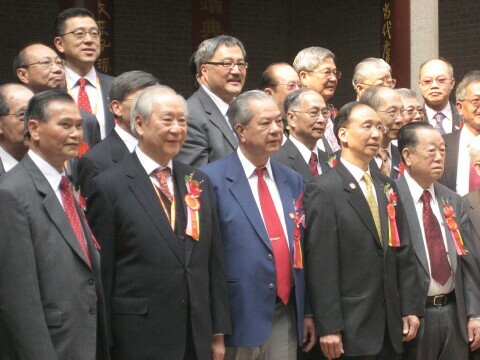 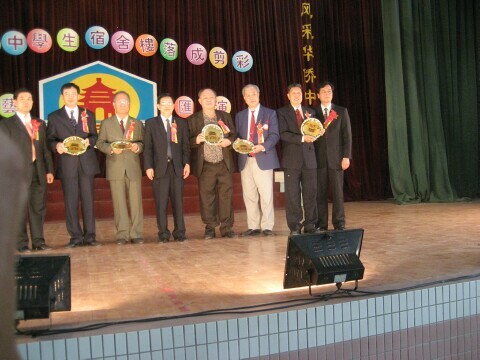 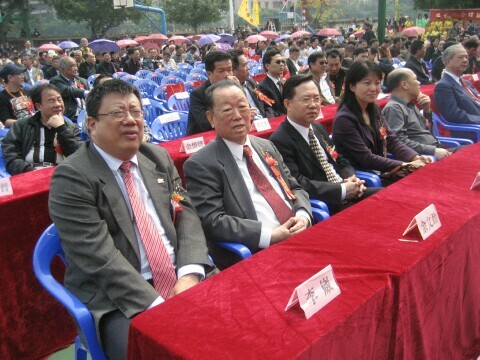 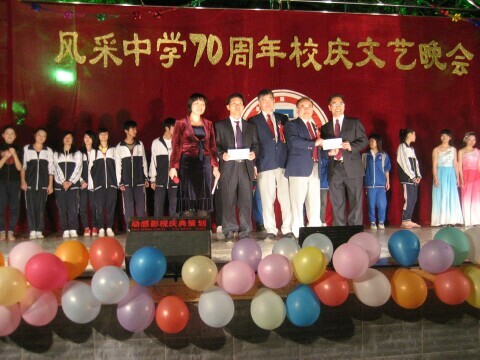 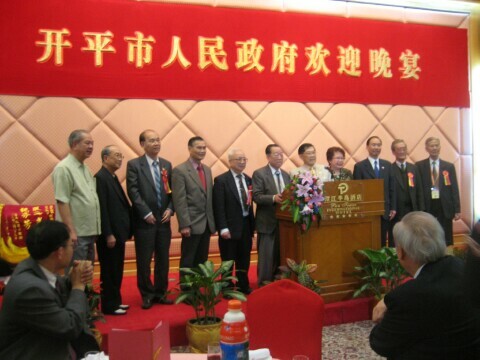 The Yees also celebrated the Yee Chung-sheung's 1010 birthday anniversary and Fung Cai Middle School's 70th Anniversary. 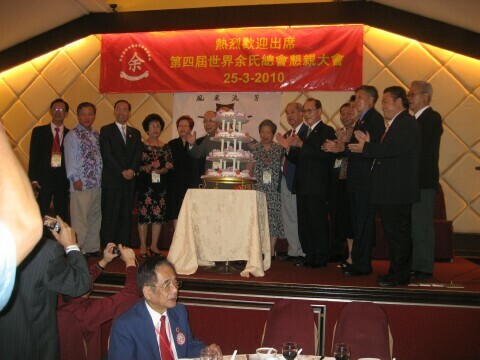 57 Canada YFT delegates and Canadian guests, led by the Yee Fung Toy Society of Canada Chairman Kan Yu, attended this festive event that day. 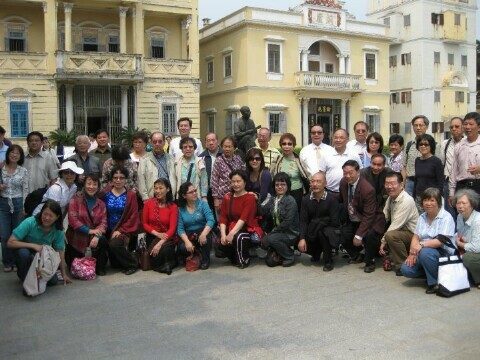 Oversea guests from the United States, Malaysia, Indonesia, Philippines, Thailand, other guests include Mainland China, Hong Kong and Macau. 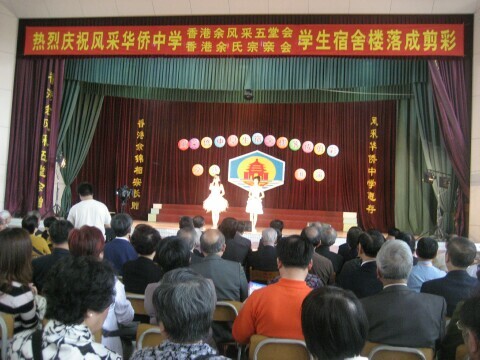 Over 2300 people attended this historical event. 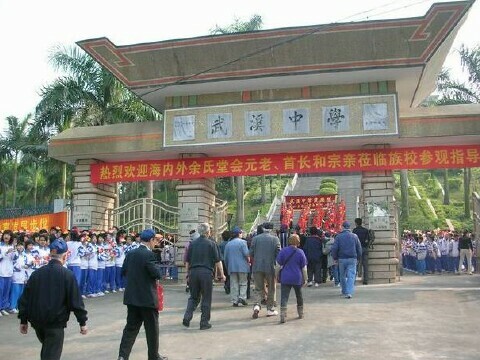 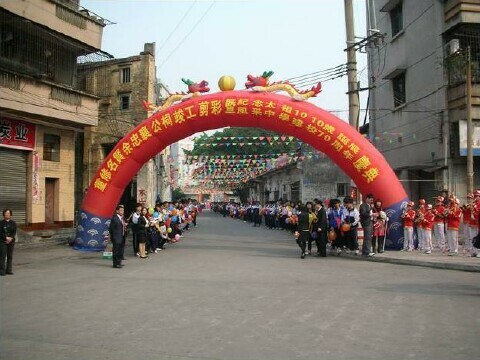 It was very emotional for us to hear the Guangdong Kaiping Fengcai Middle School (开平市风采中学) students chanting their heartwarming words - "Welcome, welcome", as we walk along the streets toward their school ground to attend the Ancestor Hall Rehabilitation grand opening ceremony. 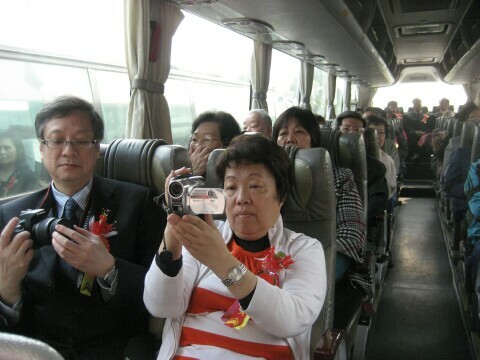 As the old saying goes, a picture is worth a thousand words, so here are some memorable pictures capturing the "Real Moment" that will be treasured in our hearts forever. 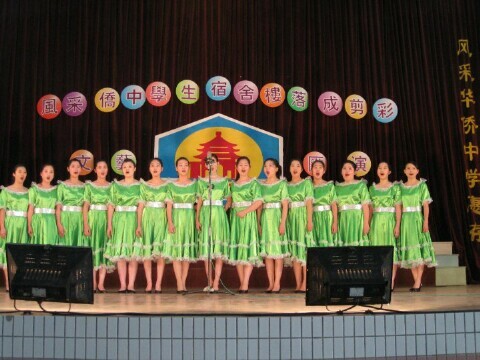 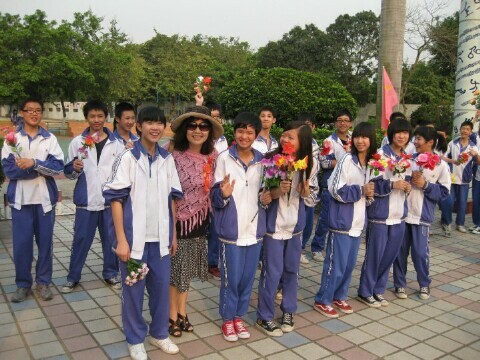 The welcoming students from the Fengcai Huaqiao Middle School were just as heartwarming as the Fengcai Middle School students! 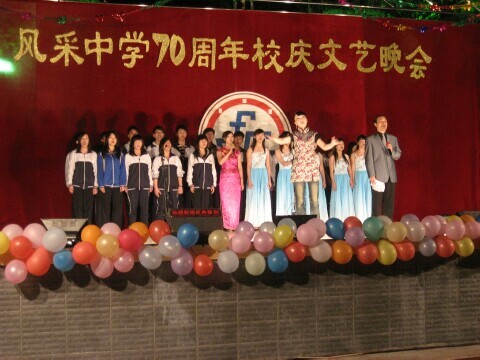 They entertained us with their songs and dances. 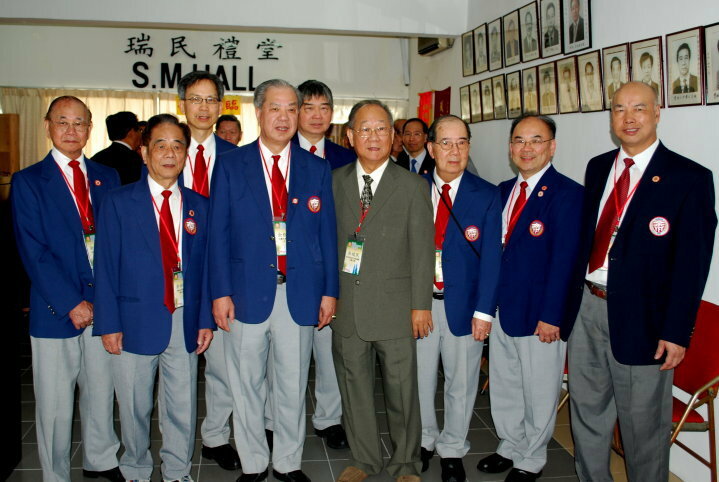 Our special thanks to the Hong Kong Yues Clansmen Association; Kenny Yee of Southern California; Pauline Tom of Vancouver; George Yue, Eddie Yue and Joe Yue of Phoenix for providing us with some of their memorable photos. 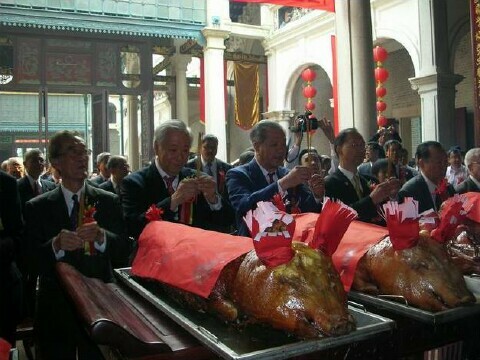 Gung-hay Fat Choy! 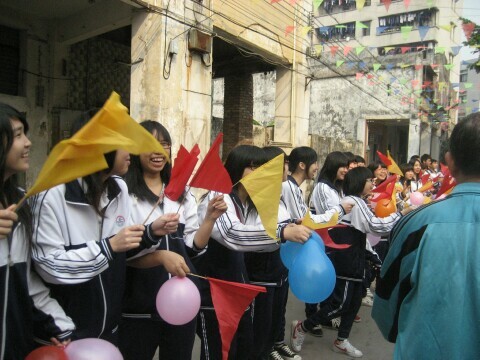 / Gongxi Fa Cai! 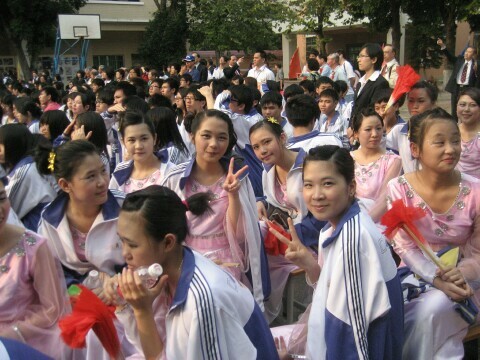 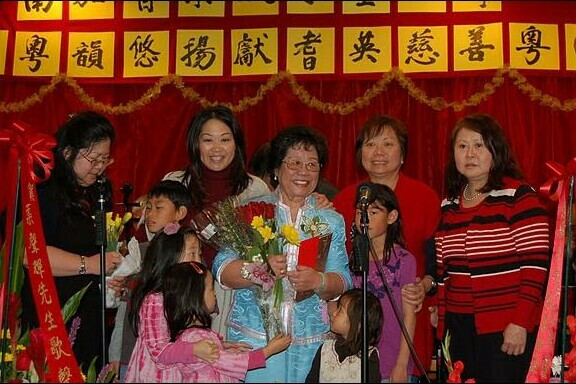 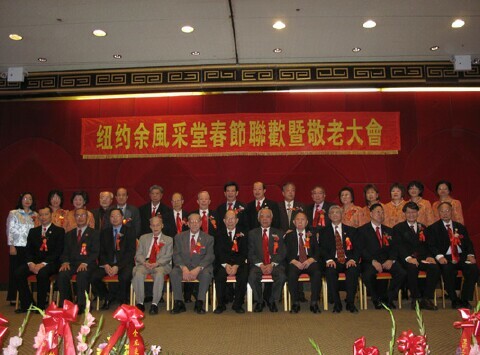 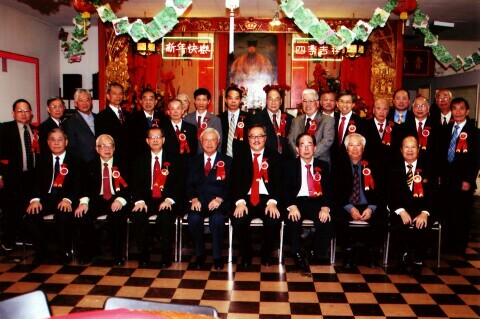 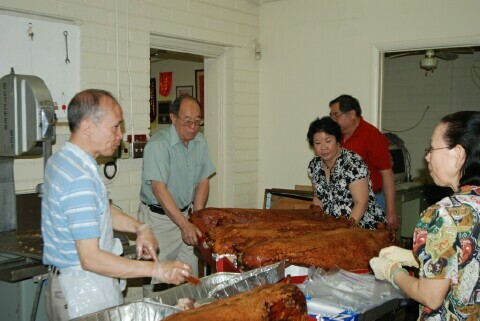 The Yee Fung-toy Family Association of Phoenix, Arizona celebrated the advent of the time-honored Lunisolar (Agricultural) New Year in CE 2010 in its traditional fashion. 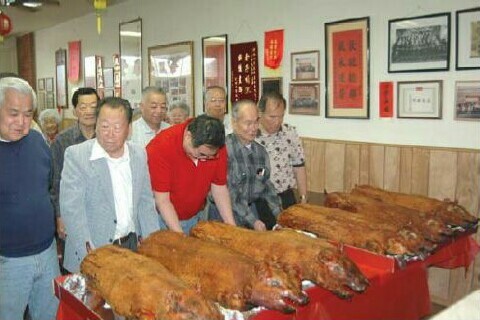 While the family-centered feasting for typically three consecutive nights (New Year’s Eve, New Year’s, and Opening-the-Year) would of course have been observed at our private residences and restaurants throughout the Valley of the Sun, according to the different customs of our areas of origin in China, the Association commemorated this premier festival of the year with several special events on one date. 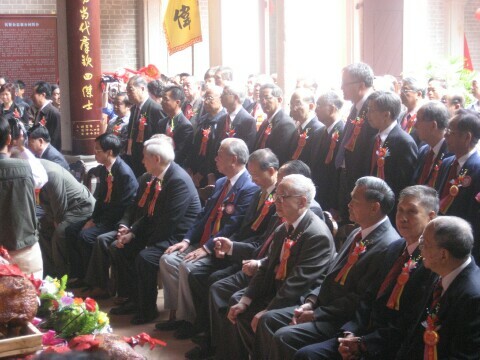 This year, on Saturday, March 6th, about 70+ members of the Association, male and female, young and old, gathered at the Clan Hall on 3040 North 16th Street in central Phoenix at noon to pay respects to our ancestors in the ceremonial manner that Chinese culture has generally instructed for over four millennia in front of the artist’s conception of the appearance of the eponymous Yee Fung-toy / Yu Fengcai, whose origins date back to the Northern Sung / Song dynasty in the region of Kuangtung / Guangdong, approximately 1000+ years ago. 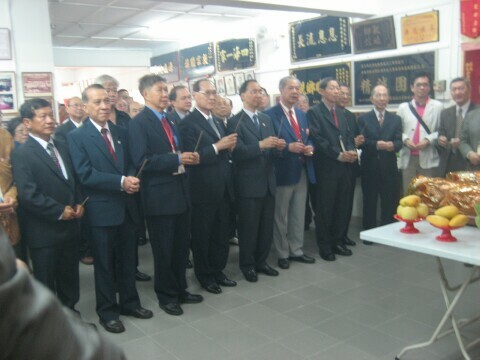 The ceremony on this occasion was officiated by Mr. Kam Tim Yee. 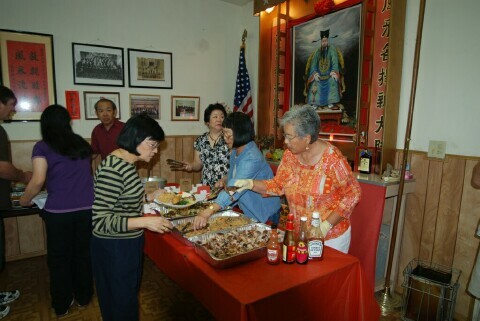 Afterwards, our usual abundant potluck luncheon featured the distinctive and customary Cantonese-style roast suckling pig, soy-braised and American fried chickens, with an array of accompanying side dishes, highlighted by the traditional dessert pastries brought by our own skillful cooks. 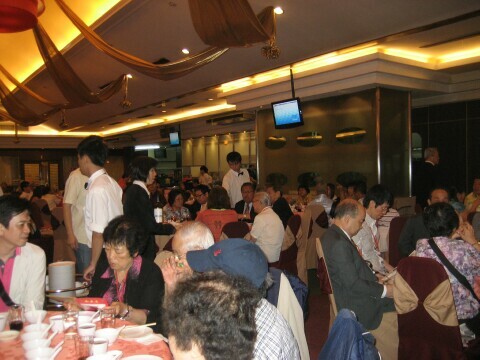 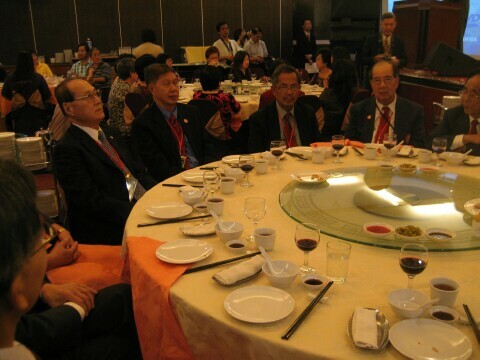 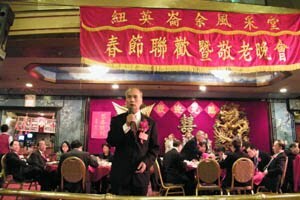 Later that evening, the Association hosted over four hundred diners at a Festive Banquet held at the Great Wall Restaurant, inviting not only a broader representation of all the Yees of many generations resident in the area, but also an array of community leaders and honored guests and friends. 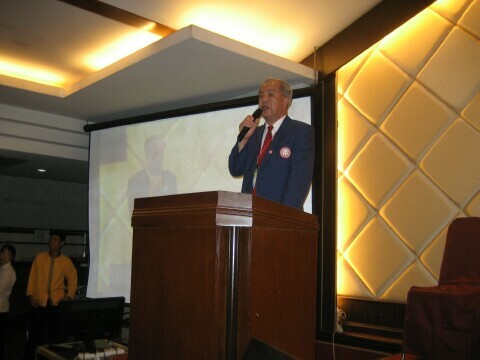 Mr. Jack J.F. 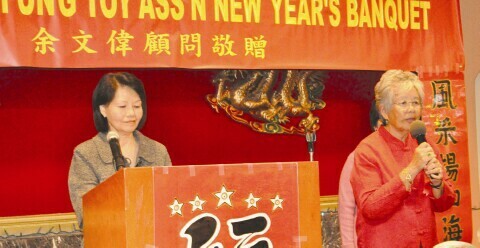 Yee and Ms. Betty Yee were the Master and Mistress of Ceremonies for the evening. 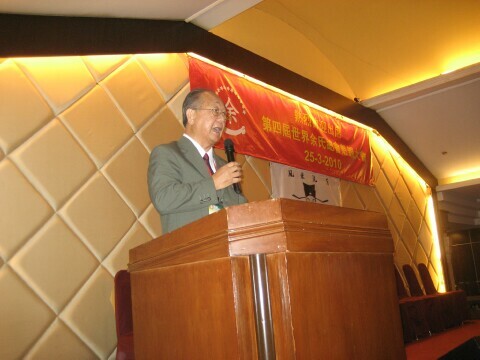 The welcoming remarks were delivered by the newly elected Association President Mr. David M. Yee. 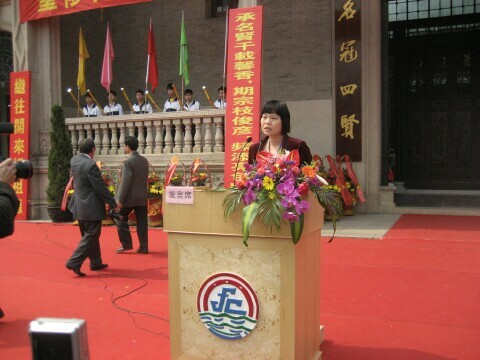 Ms. Angie Yu introduced the Association officers and honored guests. 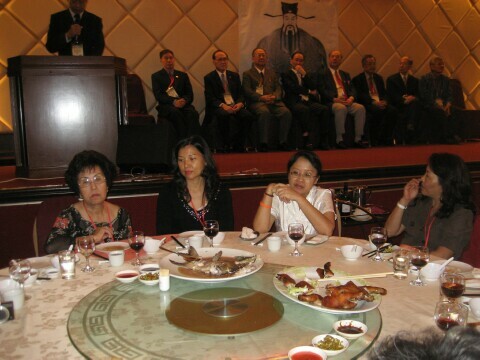 Grand Elder John M. Yee offered the formal toast – not once but instructing us to drink up several times! 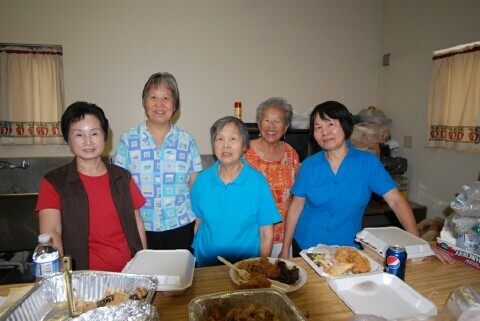 To add a further note of good luck and happiness, over two dozen generous door prizes were available to be drawn; many of these were meals from several well-regarded Chinese restaurants in the metropolitan area so that a quite appropriate note of feasting would continue. 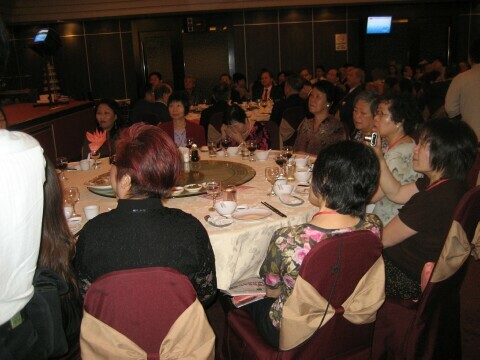 The happily noisy raffle was conducted by Ms. Kathy Yee, Ms. Janet Yee, and Ms. Gale Yee. 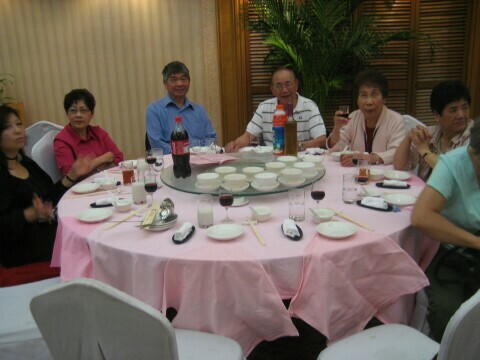 Kyle Tompkins; son of Scott and Pam Tompkins. 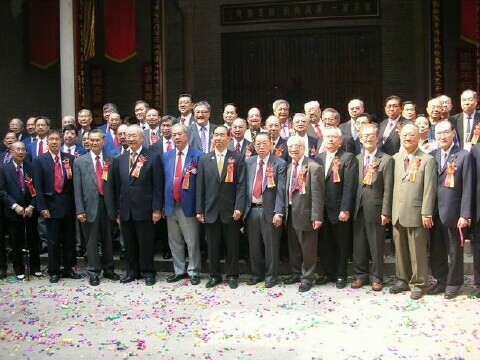 Newly elected Association Vice President Joe Yue then warmly thanked everyone for their attendance with us to observe what we all pray will be the beginning of an auspicious White Metal Tiger Year, 4707. 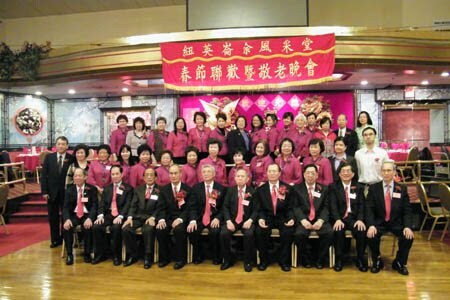 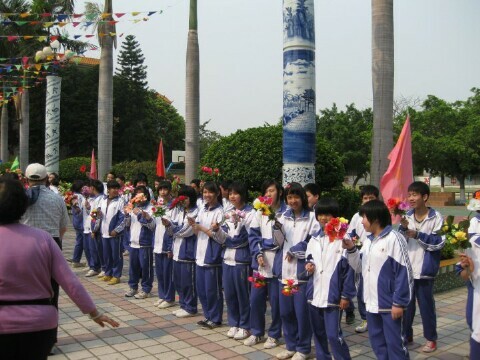 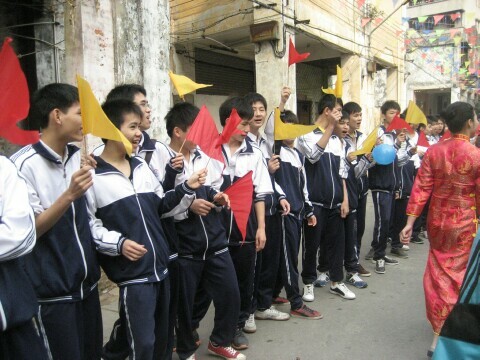 The Phoenix YFT Association hopes to observe the Spring Festival again in 2011 in a time of peace and plenty, and to welcome all with new happiness and new honors. 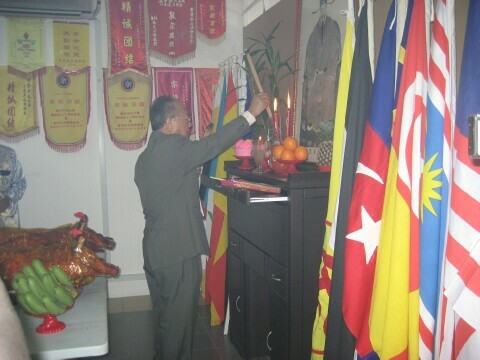 May your New Year be blessed with good health, good fortune, and great prosperity! 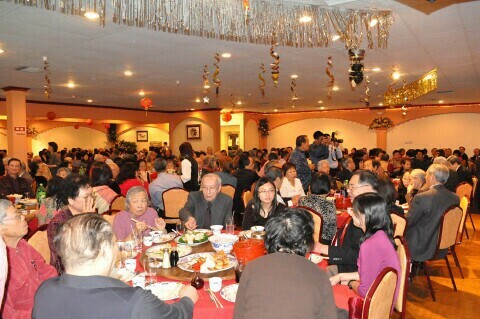 More than 500 members and guest gathered at Empire Garden for our annual Spring Festival and Seniors Appreciation banquet on March 13 led by Co-Presidents Jack Yu and Ho-Lee Yee. 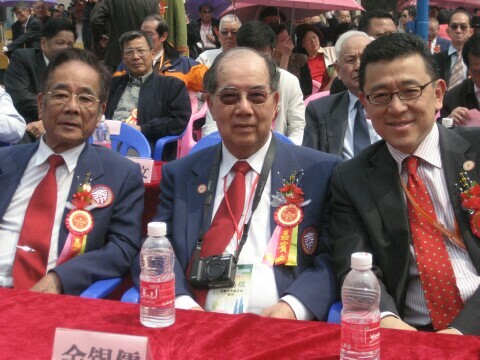 Joining them were Grand President Peter And Grand Elder Henry. 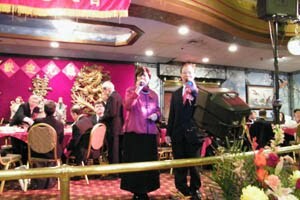 Our two emcees for the evening were Melinda Du (Chinese) and David Yee (English). 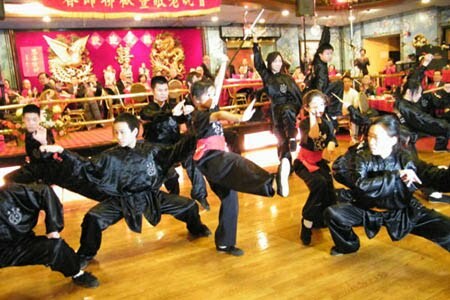 The Wah Lum Kung Fu Club led by our own Sifu Mai Du demonstrated various forms of kung fu for all to enjoy. 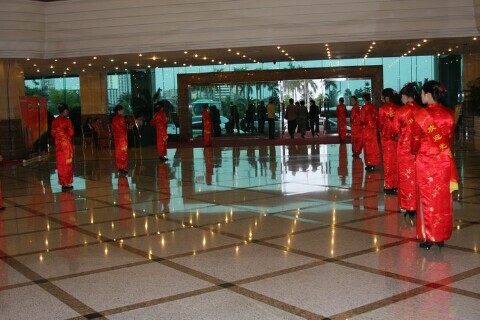 Many of our guests were mesmerized by the precise eye and hand coordination and acrobatic abilities of the performers, some of which demonstrated with swords and other weapons that made some of our guests gasp with amazement. 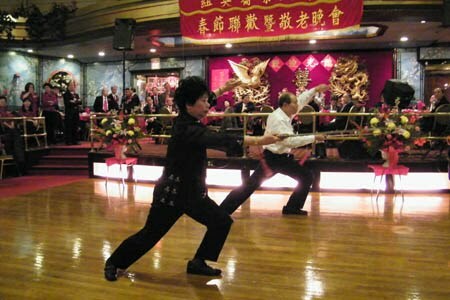 Following Wah Lum's performance, our own Tom and Linda demonstrated the skills of the Tai Chi Sword classes they learned from YFT. 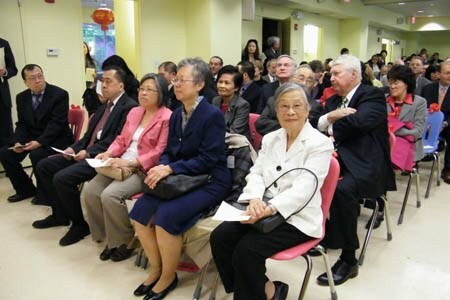 Our honored guests included State Representative Aron Michelwicz, City Councilor John Connelly, Director General of TECCO Ann Hung, Director Jack Huang of TECO's cultural Center, and CCBA President Wing Kay Leung. 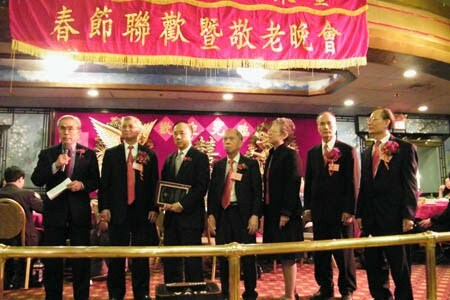 Many members from our New York Chapter also attended the banquet. 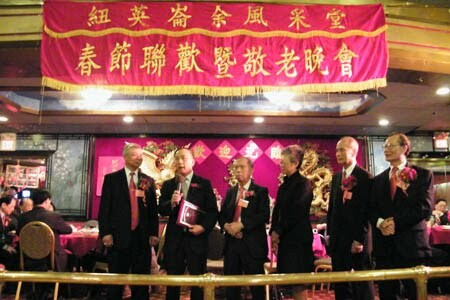 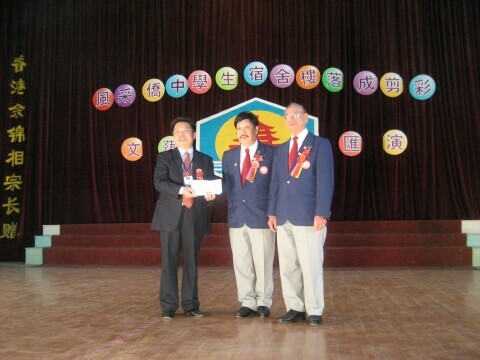 Our Grand Elders, Grand President and two Co-Presidents presented an appreciative award to Judge Paul Yee. 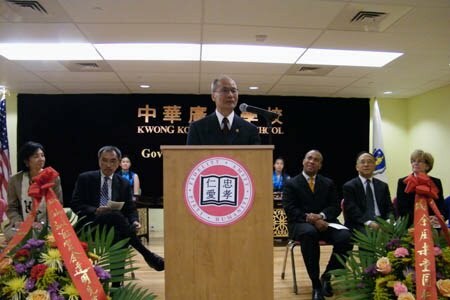 Frank Chin also announced that the Governor will be giving Judge Paul a public ceremony on May 10, 2010. 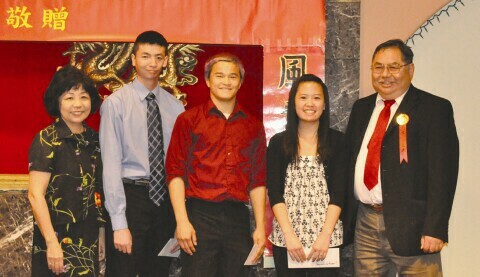 Co-Presidents Jack and Ho-Lee presented scholarship awards to eight qualified college students. 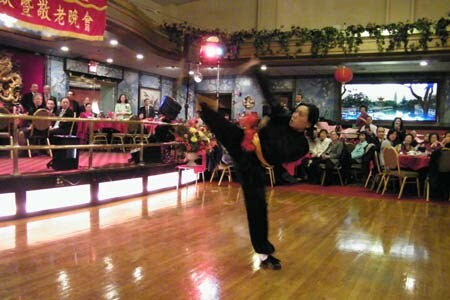 Recreation Director Ken headed up the entertainment portion of the evening with various members and guests performing Karaoke while other guests enjoyed the music by filling up the dance floor with their ballroom dance skills. 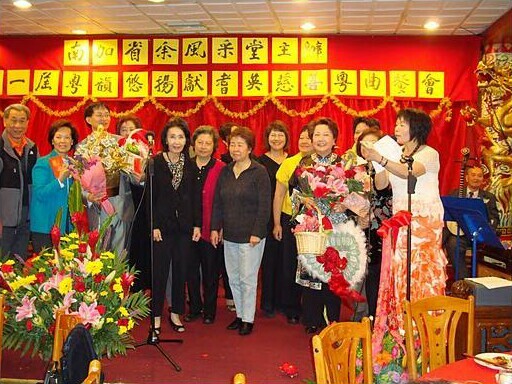 The evening concluded with the distribution of raffle prizes presented by Women'd Divivion Vice-Chair Karin and other Women's Division members. 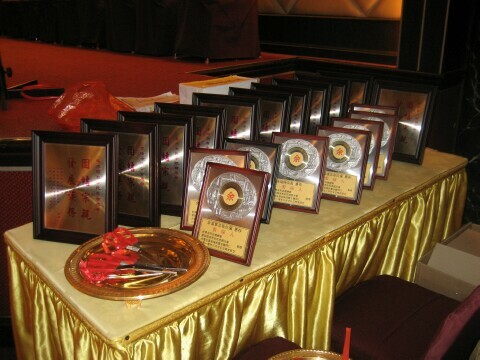 All in all, it was a succesful, fun-filled evening. 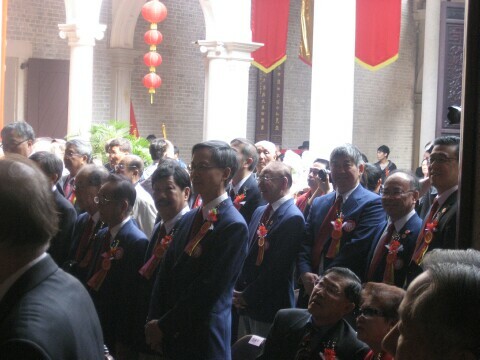 On May 2, 2010, a full house of over 100 Yees and kin-by-marriage gathered just after noon for a grand festivity commemorating and celebrating several threads of our common life. 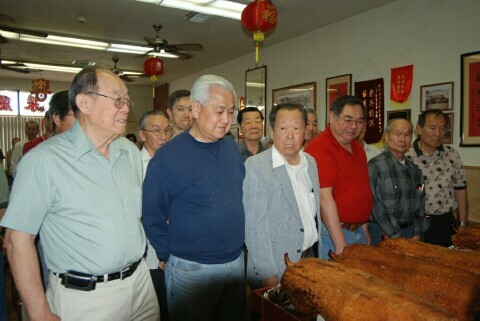 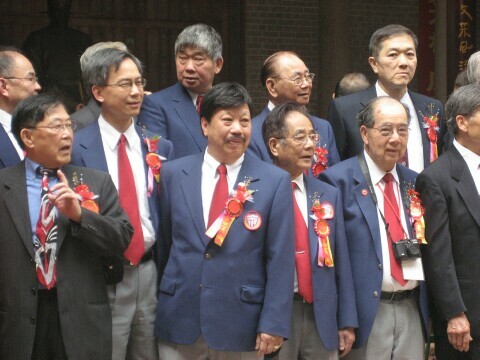 This year, the Roast Pigs were generously provided by – Mr. Willie Yee, Mr. Kam Yui Yi, Mr. Kim H. Yee, Mrs. Jerry M. Yee, Mr. John M. Yee, Grand Elder and Mr. David M. Yee, our current Association President. 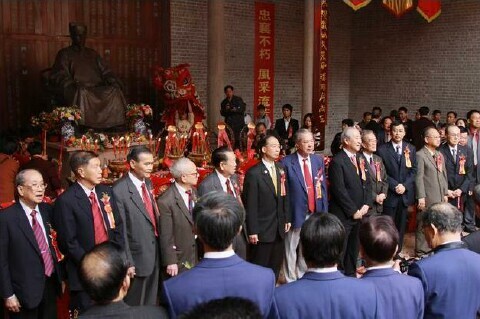 This is therefore also the premier occasion at which we, the descendants, offer up the respect to our parents and grandparents and to all our ancestors immemorial, symbolized by the traditional rites of veneration. 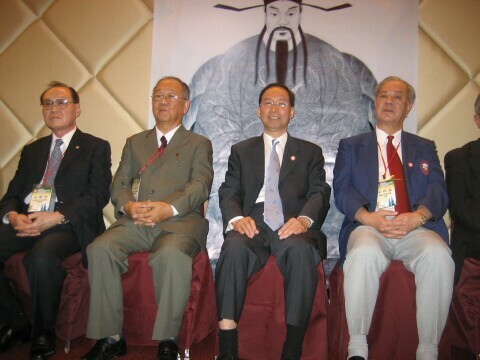 These were observed in our Clan Hall before the portrait in oil of an artist’s conception of our Clan Grand Progenitor, T’ai-tzu, Yee Fung-toy (Yu Feng-tsai or in pinyin, romanization, Yu Fengcai). 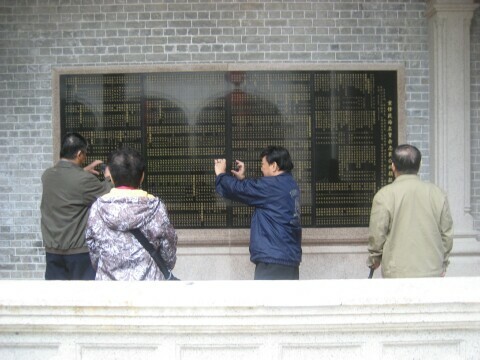 Such a term is of course redolent of a historical pattern in Chinese history, when the founding emperor of a dynasty would often be posthumously designated as a Grand Progenitor. 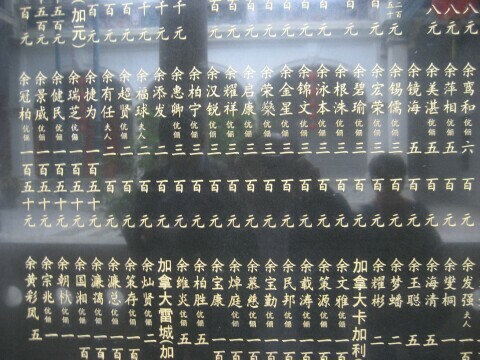 Our eponymous ancestor was himself also a Cantonese, born at what then was named Shaochou, in 1000 C.E. 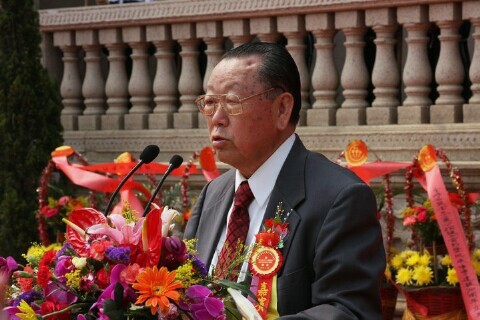 * and he served with distinction as an official in the Northern Sung Dynasty (960-1127 C.E.) 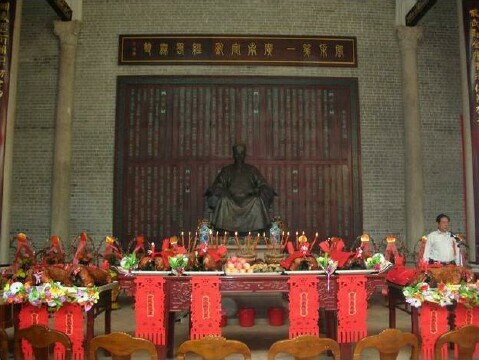 After his death in 1065, the reigning Chih-p’ing era Emperor awarded him an honorific title of nobility: the Chung-hsiang Kung [Loyal-Assisting Duke] or in an informal Cantonese rendition, ‘Chung-sheung.’ This feudal-style title actually looked back then to a vanishing age and yet these type of honors would continue to be granted, relatively rarely, until the end of the imperial era in 1912. 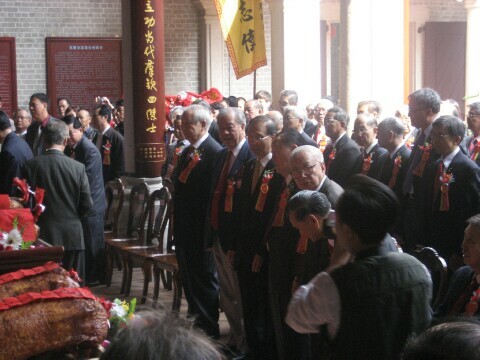 When our Clan Grand Progenitor flourished, a well-developed civil service administration of China had arisen and afterwards ripened into court and factional politics involving talented commoners rather than the older fading aristocratic and military families of the preceding T’ang Dynasty era (618-906 C.E.). 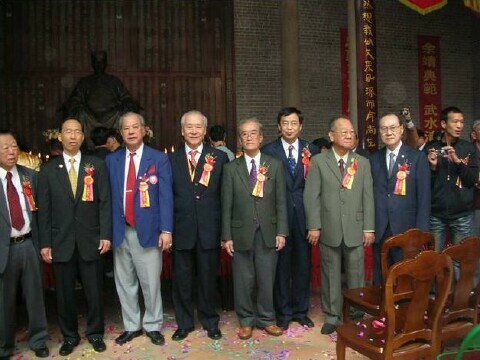 Naturally, the specific title for our Grand Ancestor, the Duke, would have been selected to commemorate and honor his qualities in life: his loyalty, and his administrative helpfulness, to the Throne. 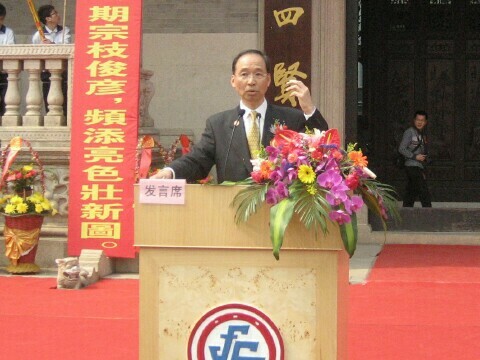 (For the millennium and half before, if someone had been created a duke, it meant the receipt of a fief of territory with population, income, and hereditary power.) 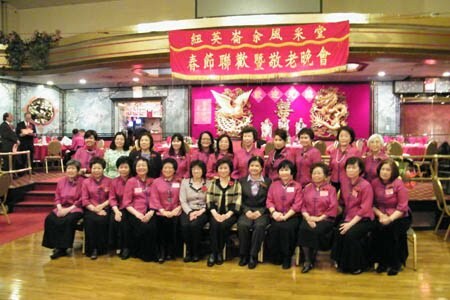 The character, hsiang, has as its organizing radical [i.e., that part of the ideograph which signifies its meaning, rather than being a clue to its pronunciation], the element which means “clothing.” In this case, hsiang refers to the need to remove/disrobe clothing in order to prepare for the hard and typically muddy work of agriculture. 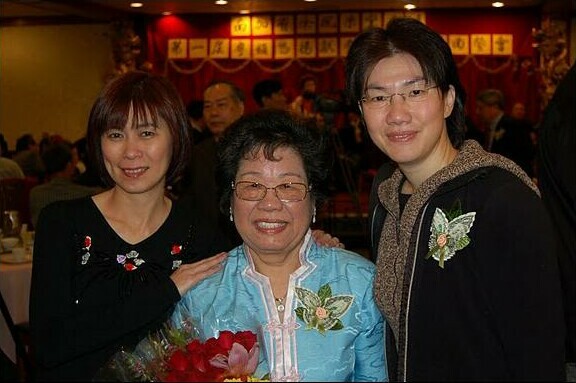 In our day, we would say that Yee Fung-toy was a roll-up-your-sleeves, get-it-done kind of guy. 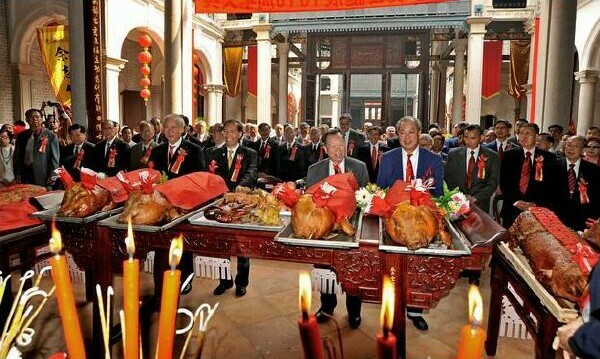 Surely he would be well worth our respect and even veneration at any occasion. 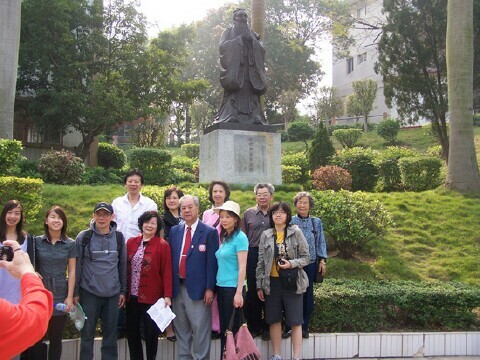 Yet even more than being a source of pride for us descendants, however, he himself doubtlessly would only be satisfied to know that we were following his example. 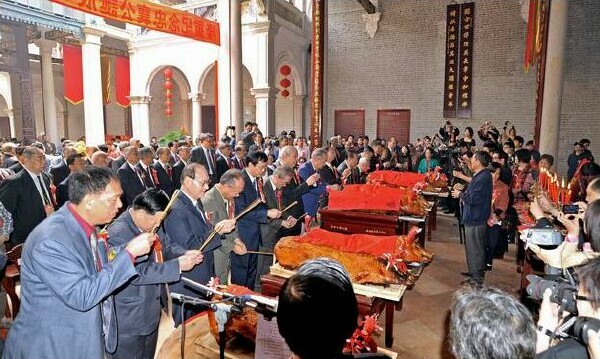 This is the core meaning of filial piety (hsiao), a truly root virtue in Chinese culture. 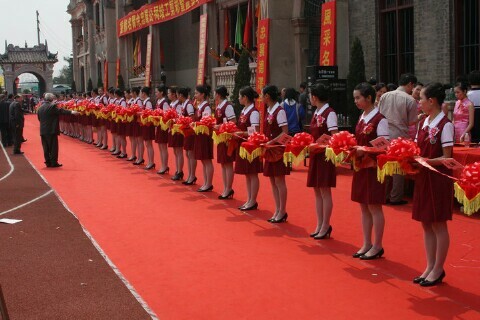 * C.E. 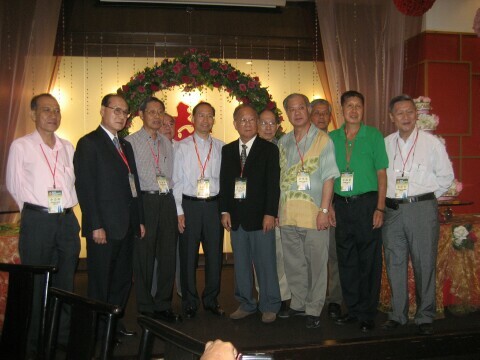 is an abbreviation for “Common Era,” to refer to the period of history in which both Jews and Christians shared a frame of reference; the previous custom, to refer to A.D. for “Anno Domini” [Year of (our) Lord], has come to be seen as slighting the elder brothers/sisters in the Judeo-Christian faith tradition. 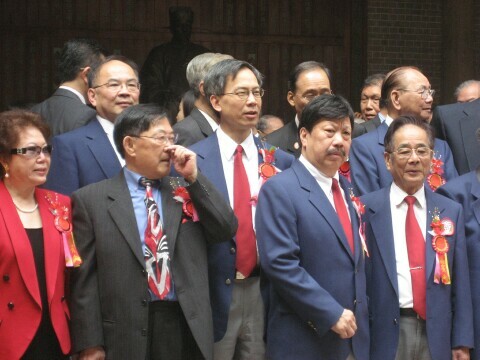 Long time YFT member, Paul Yee, was sworn in as Associate Justice of the Quincy District Court on May 10, 2010. 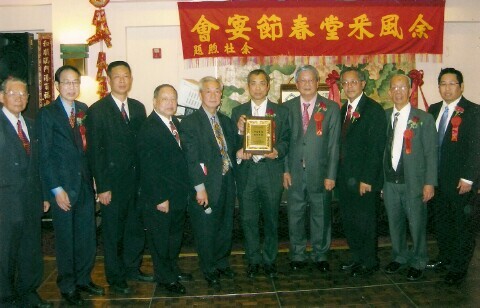 Paul became the court's first Asian-American judge. 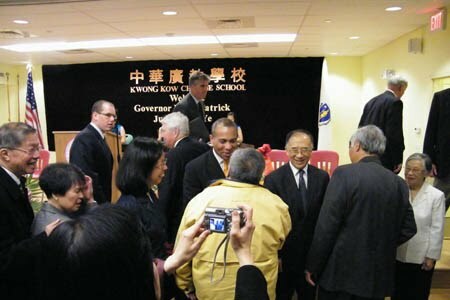 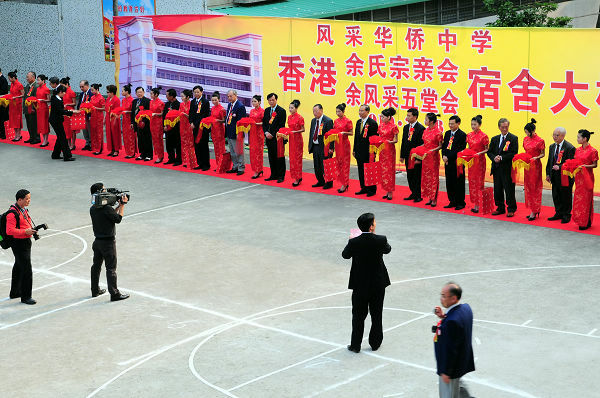 The ceremony was held at Kwong Kow Chinese School. 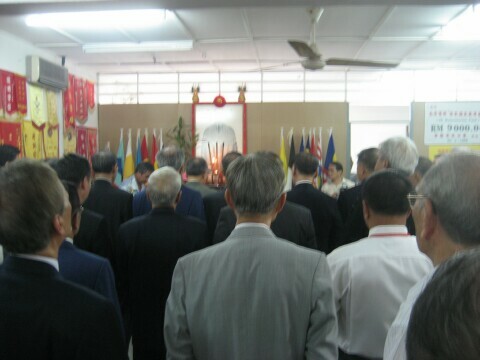 More than 230 people attended the ceremony, including many members of our own YFT and their families. 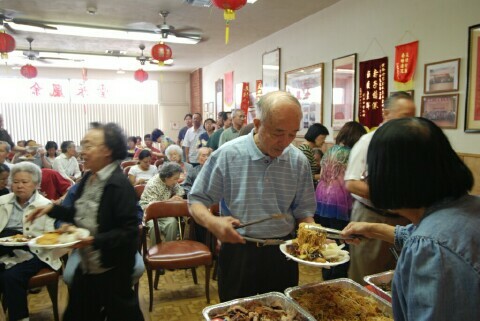 Among the other guests were Paul's family and friends, fellow judges, and many members of the Chinatown community. 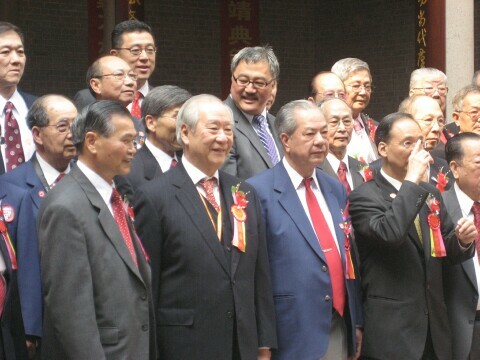 The program began with welcoming remarks from Honarable Richard Chin, followed by some witty remarks from our own YFT President Jimmy Ho-Lee Yee, making fun of his own broken English. 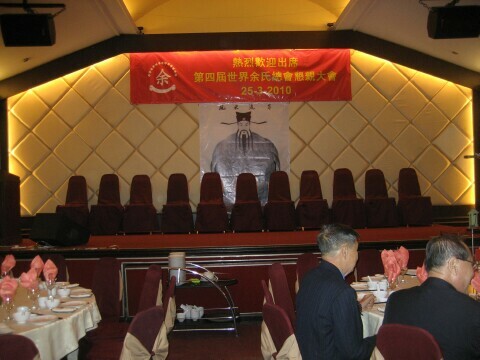 The audience broke out in laughter. 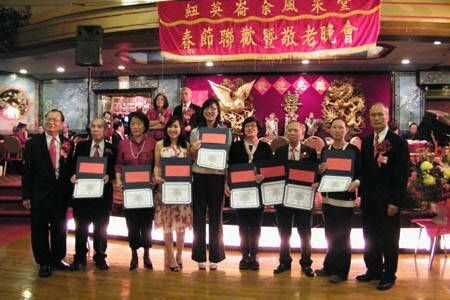 Other speakers included Mary Chin (President of the Asian American Civic Association) and the Honorable Fernande R.V. 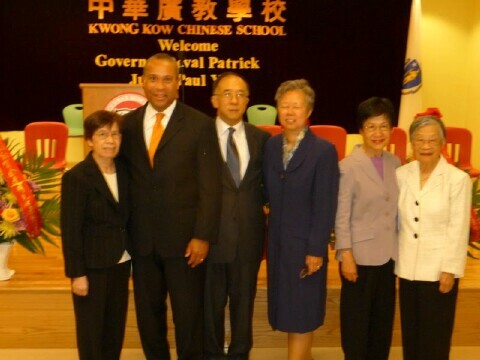 Duffly (Associate Justice of the Appeals Court), and Lynda Connolly (Paul's boss). 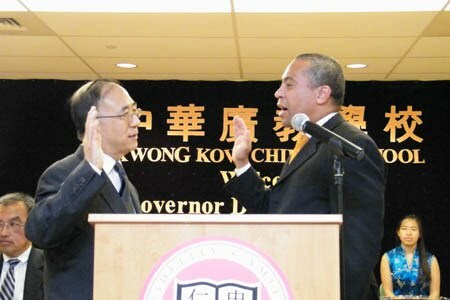 Governor Deval L. Patric formally swore Paul in as judge. 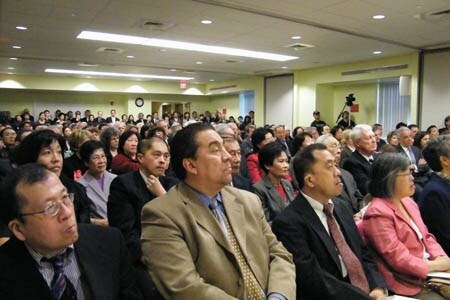 The ceremony concluded with very touching remarks from Paul, giving thanks to his immigrant parents for providing him the opportunity to arrive at where his is today. 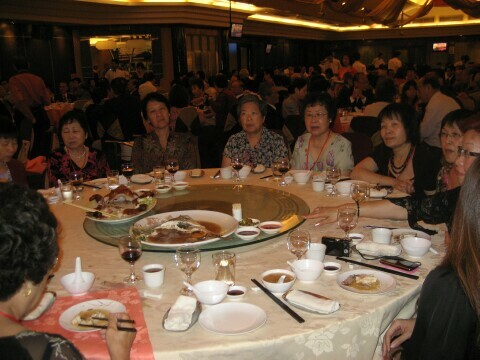 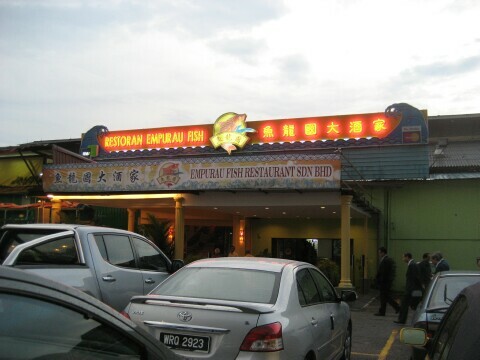 The celebration continued with a buffet dinner at China Pearl hosted by Paul. 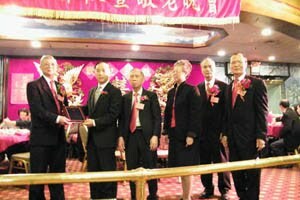 Congratulations to judge Paul for all his accomplishments as we are proud to have him as part of our "Yee" family. 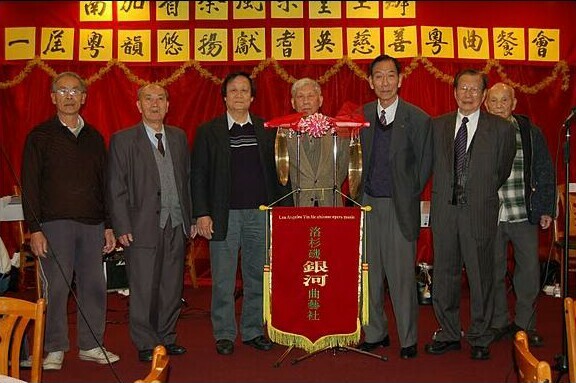 Jim Yee, Yee Fung Toy Society of Vancovuer. 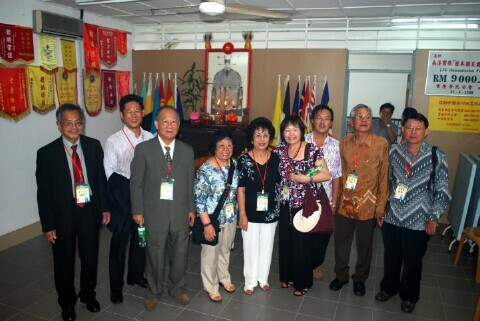 Our visitors are passionate about Chinese American History, and have overcome major obstacles to achieve their status as eminent research librarians in the field. 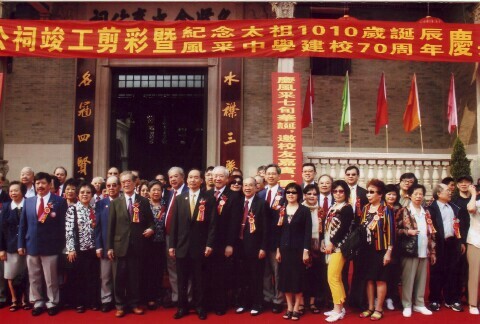 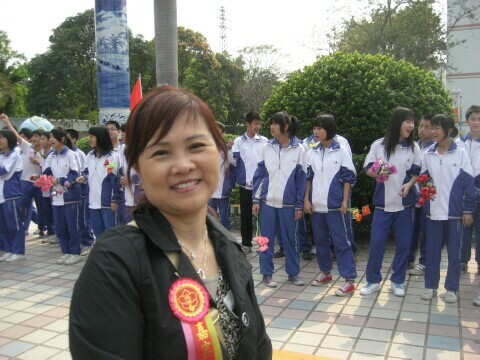 Marjorie was born in the US, but has subsequently mastered the Chinese language and made numerous research trips to China. 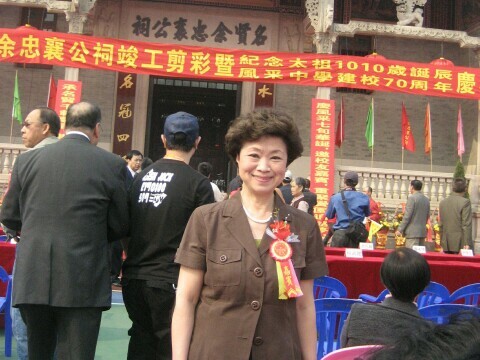 Wei-chi was born (as 余慧子 Wei-chi Yee, a true kinswoman of the Yee clan) in Taishan and came to the US in her teens with no knowledge of the English language beyond the alphabet. 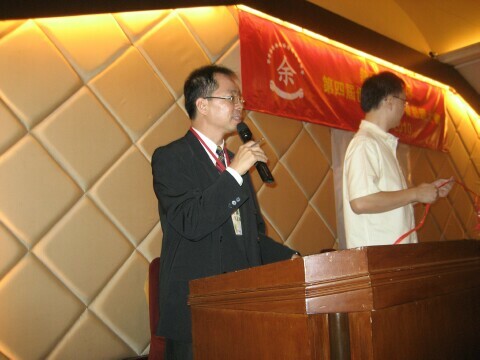 You obviously need language skills in both English and in Chinese to succeed in this field in North America. 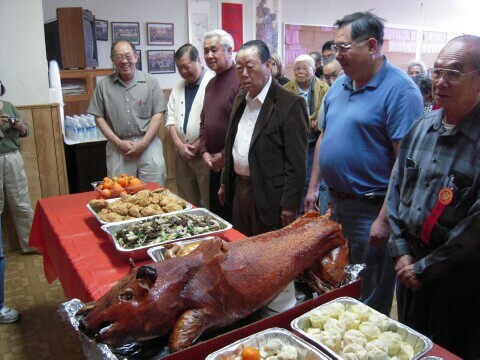 Marjorie notes there are still a lot of pain associated with the history of Chinese Americans, as she discovers when writing “Duty and Honor: A Tribute to Chinese American World War II Veterans of Southern California” (pub. 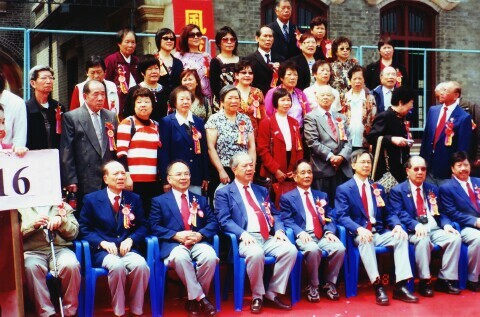 1997). 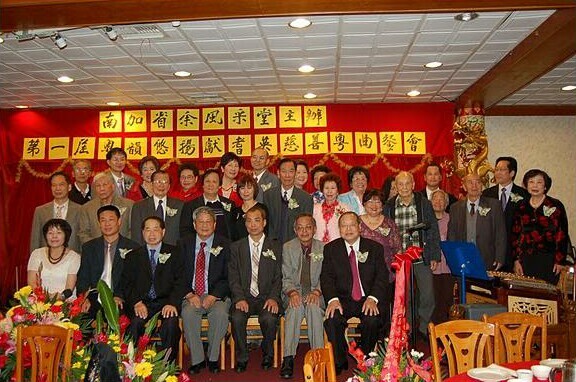 Many Chinese American veterans were not ready to open up about their experience, let alone show any pride in serving their adopted country. 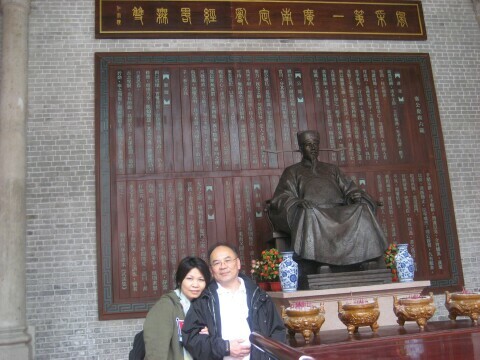 Wei-chi expounds on the importance of archiving Chinese documents and artifacts in North America, especially in allowing universities access to useful historical material. 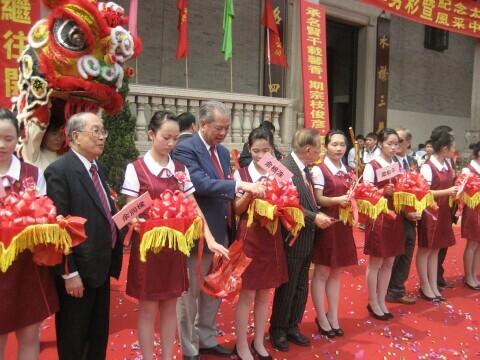 Universities have the resources to archive and share material given to their care. 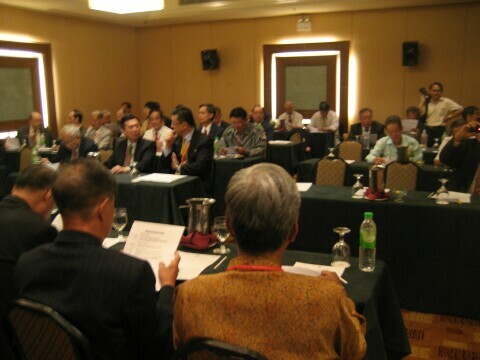 No other organizations can afford the high cost of professional processing. 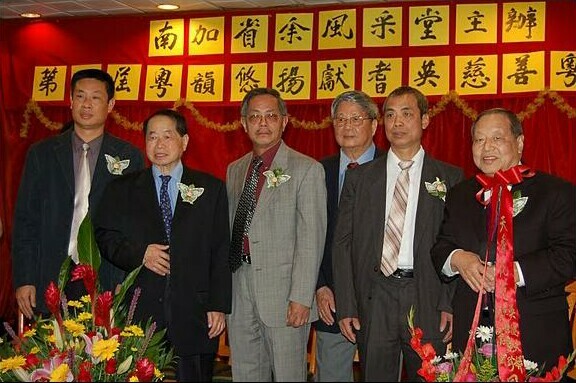 A prominent example is the Him Mark Lai Collection, which "may eventually consist of more than 200 linear feet, not counting the numerous newspapers, journals, magazines, books, and directories", as Wei-chi recounts in an Annotation article. 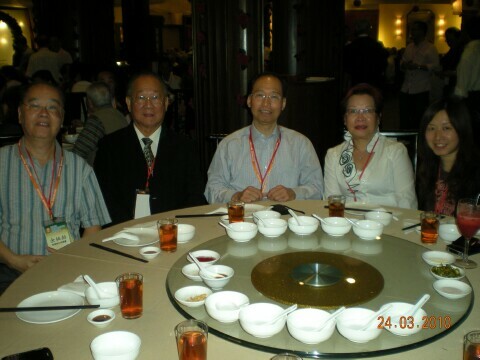 Him Mark Lai (November 11, 1925 - May 21, 2009) was an amazing amateur historian and master archivist. 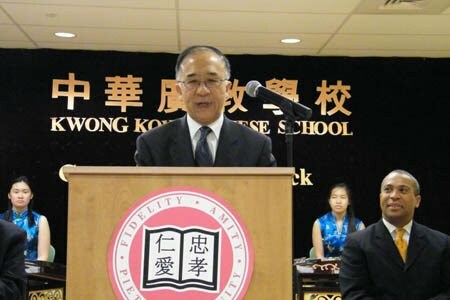 He has been called the Dean of Chinese American History for his role in establishing the field as a legitimate academic discipline. 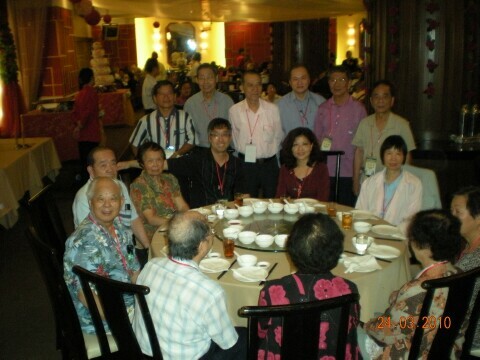 For more info, see short video, wiki bio, or the Him Mark Lai Digital Archive. 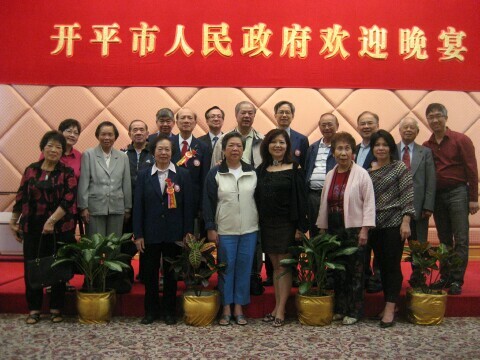 One of Lai's legacies is the In Search of Roots program, co-founded with Albert Cheng of the Chinese Cultural Center of San Francisco (who spoke at the Workshop yesterday about the program). 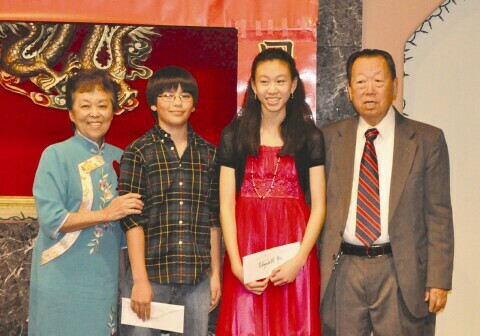 "The program involves a year-long commitment to researching one’s Chinese American family history and genealogy. 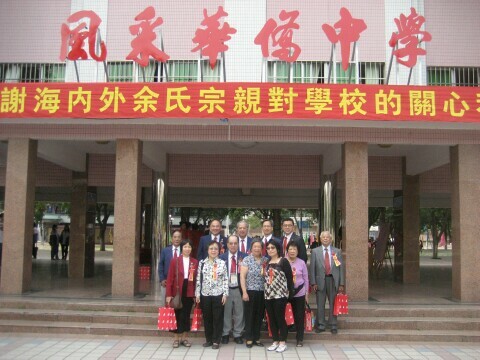 After exploring their Chinese roots in America, participants explore their roots in China through searching for and visiting their paternal and/or maternal ancestral villages in the Pearl River Delta and Chaozhou regions of Guangdong Province" from the program homepage. 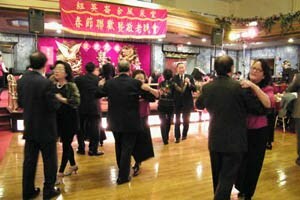 This was such a great program that we wondered why the Chinese Cultural Centre in Vancouver does not provide one. 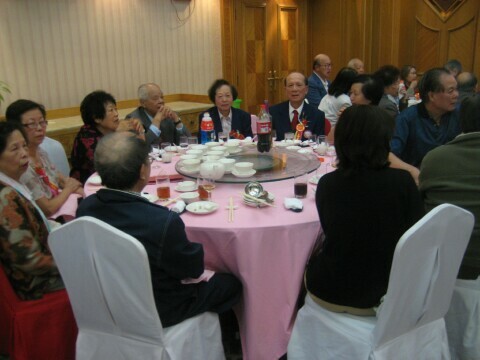 Fred mentioned he had made contacts Albert and tried to start a similar program in the 1990’s. 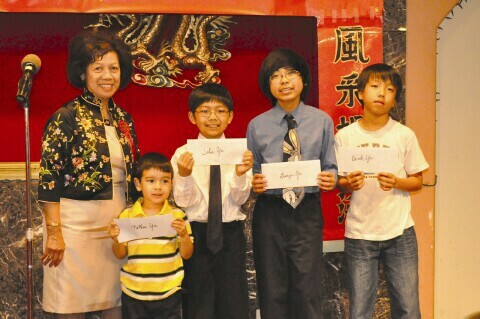 Is it possible to get enough support now from the local Family Associations to get one going for our youth in Vancouver? 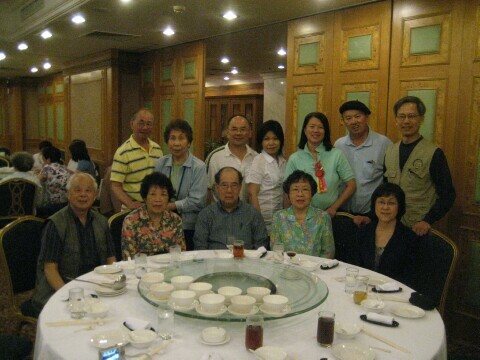 The next issue of the Yee Fung Toy Global Village Voice will be published in mid September of 2010, featuring summer picnics and other activities at Yee Fung Toy associations around the world. 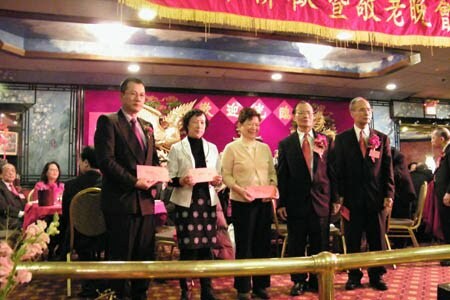 Please submit your articles to the Editor via email (editor @ yeefungtoy.org) or postal mail (The Editor, 226 East Georgia Street, Vancouver, B.C., Canada V6A 1Z7) by August 15, 2010.